You can almost hear the sound of the jelly cracking this morning! 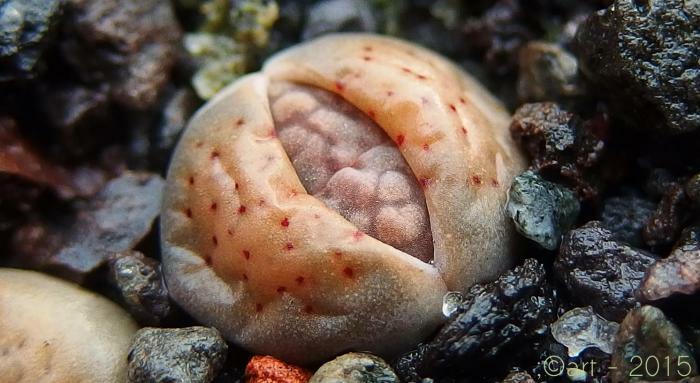 A few hours later the new body of Lithops lesliei venteri ‘maraisi’ C153 is almost there. 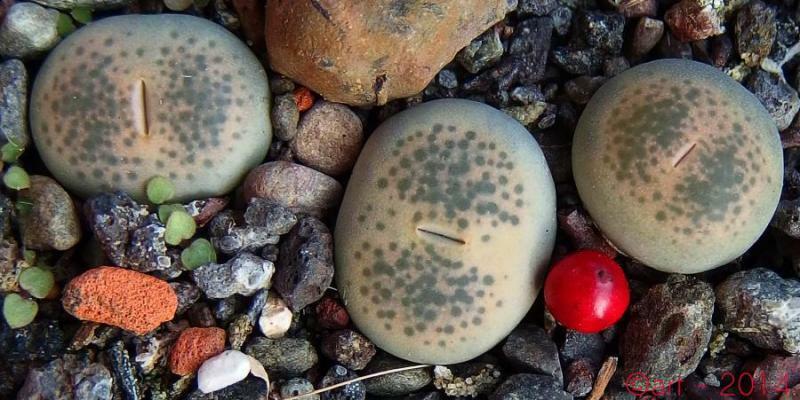 The sun shining through the transparent walls of the crack reveals the red dots you couldn’t see ever before nor in the newly formed leaves. 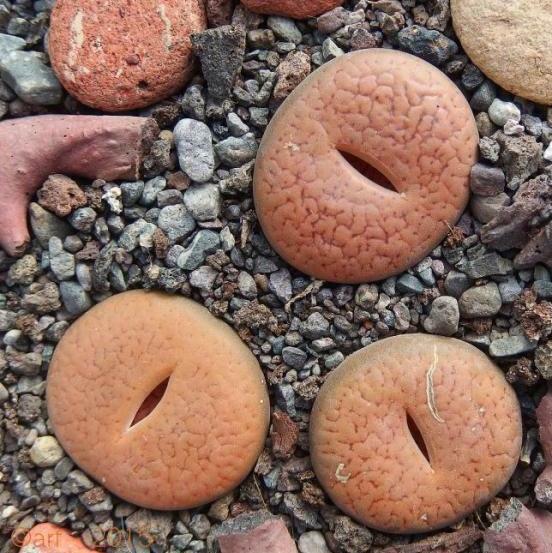 Lithops hookeri subfenestrata ‘brunneoviolacea’ C019. 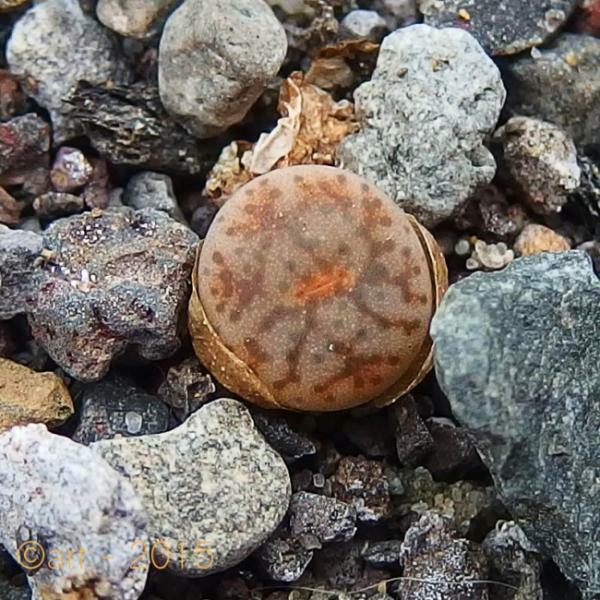 Lithops julii brunnea C179. The windows are almost green this one, a very nice one to my biased eye. 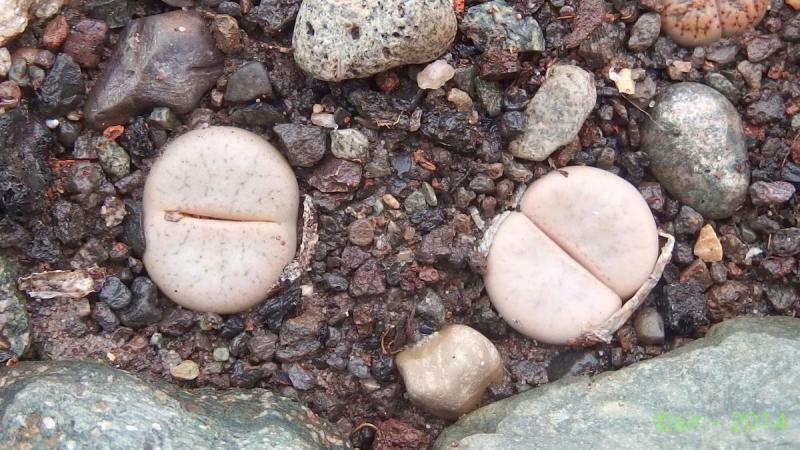 Another one that split open: Lithops aucampiae C333. 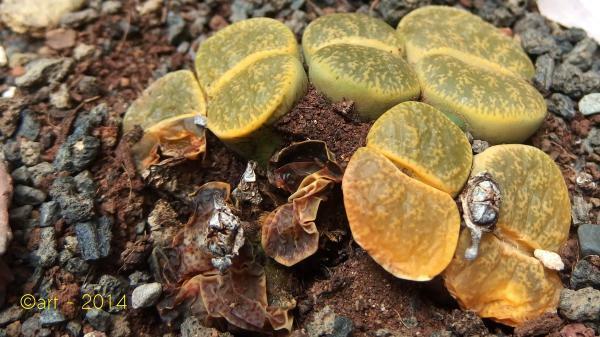 At a closer look you can see that the ‘jelly’ is actually green in this species: chlorophyll containing cells all over the sides of the leaves. And not the hint of green can be seen from outside! 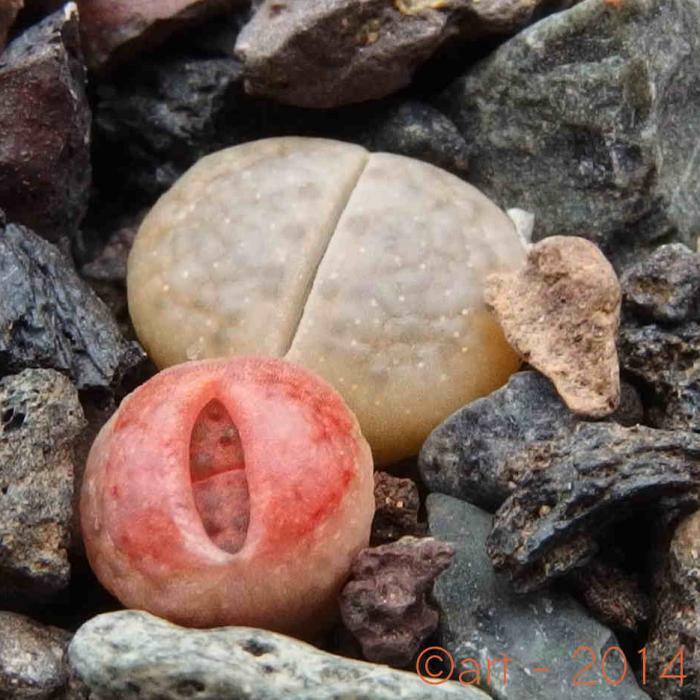 Lithops julii brunnea C179: The new face looks quite different from the old one. 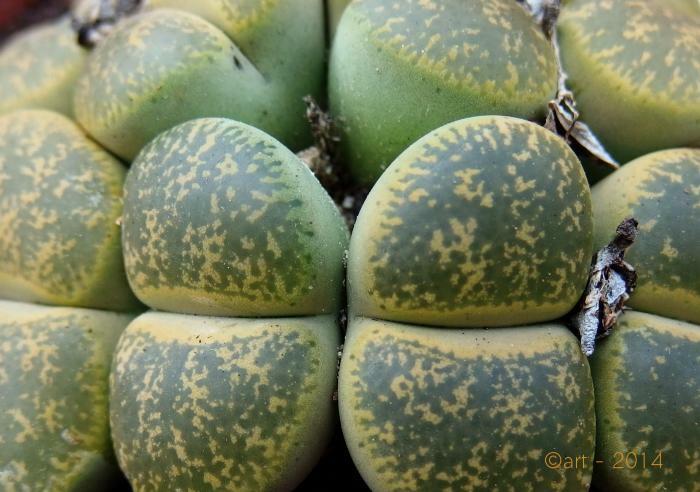 The grey, almost blue windows with ocre islands and the strong lateral markings are very distinctive. 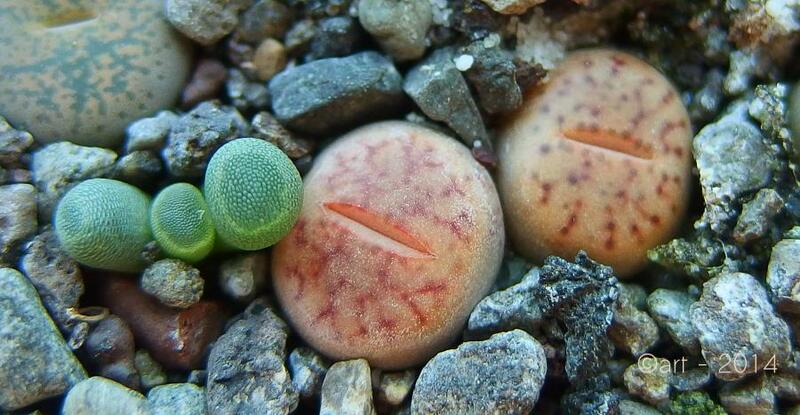 Pretty turgent and apparently smirking with satisfaction, Lithops bromfieldii C348 . 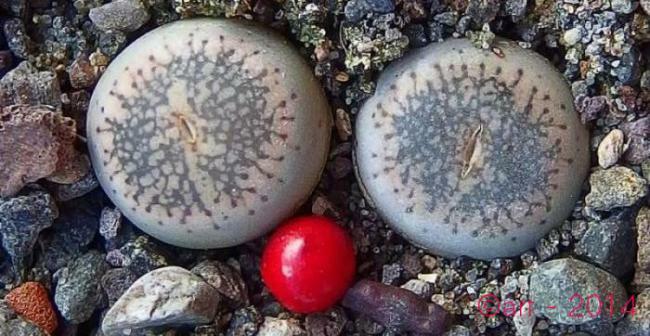 With joyful red dots, Lithops dinteri C206. 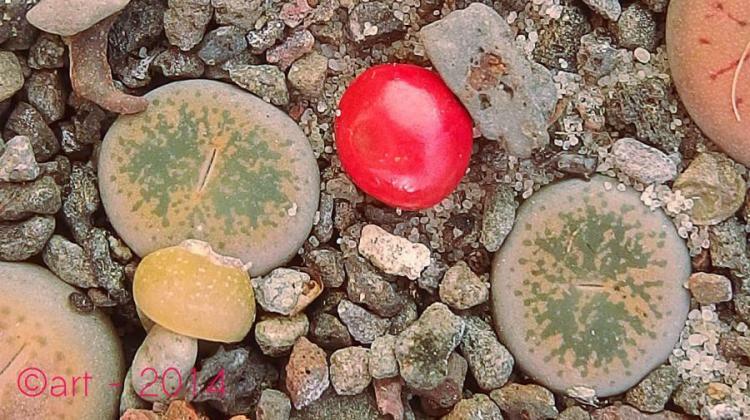 Very different size shows Lithops pseudotruncatella (alpina) C068 after one year growing together. 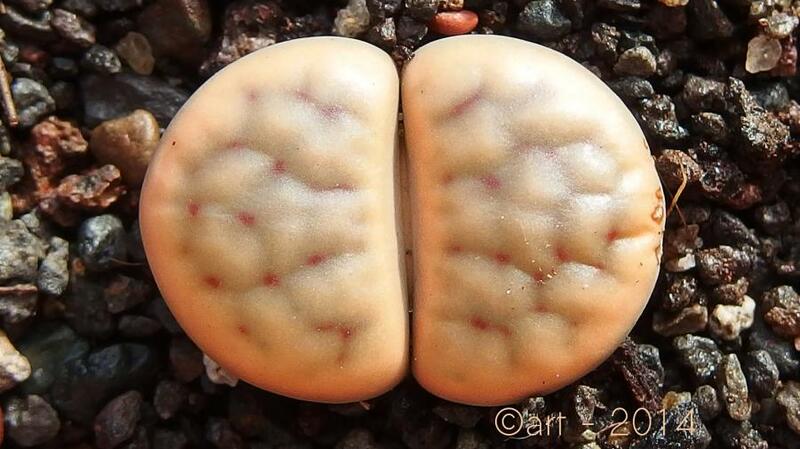 The last one to germinate, Lithops terricolor ‘peersi’ C131 are now the biggest of all seedlings. 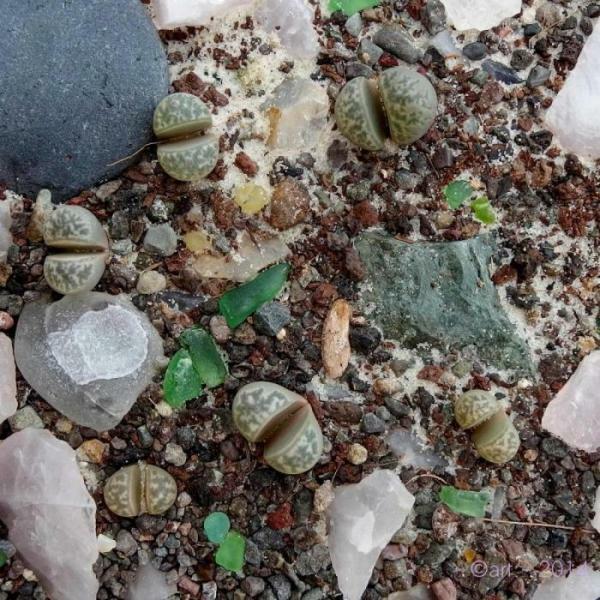 Lithops hookeri subfenestrata ‘brunneoviolacea‘ C019 has been by far the most prolific and vigorous of all species sown. 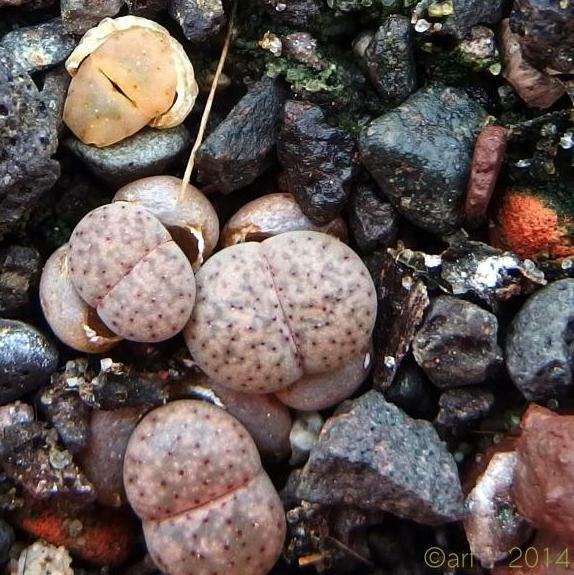 First to hatch, these Lithops lesliei venteri ‘maraisii’ C153 are not the biggest after their first year. 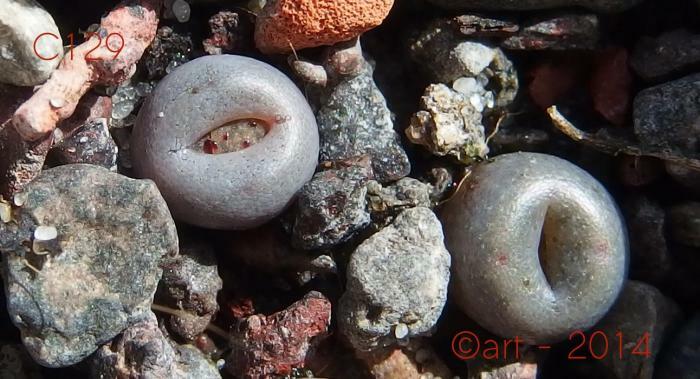 Germinated very plentyfull, most Lithops hallii C119 died during a hot spell in midsummer in an intruiging sudden death episode. 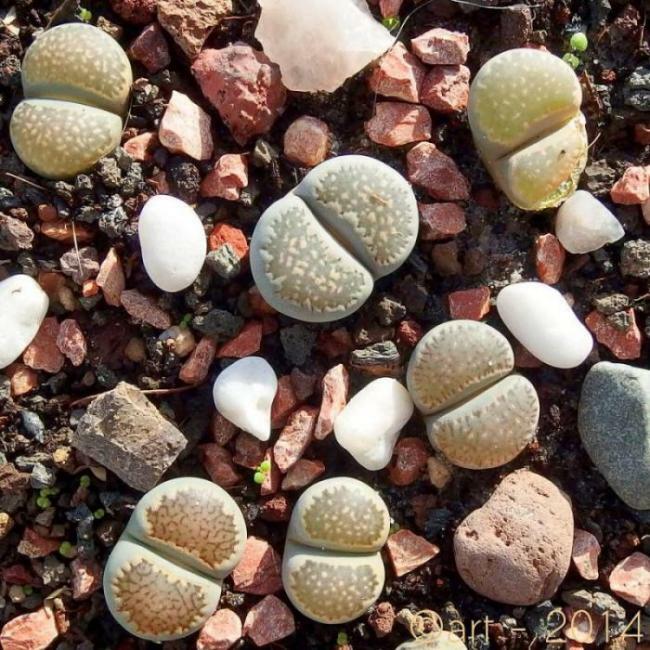 Only a few remained. 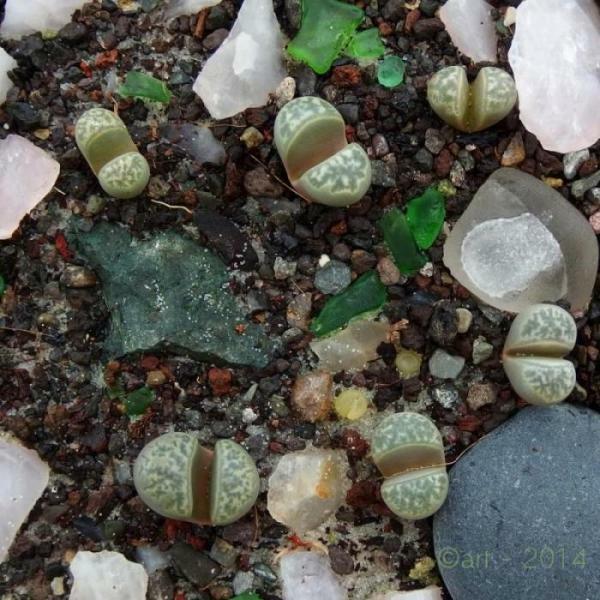 Lithops lesliei luteoviridis C020, compact and greenish/yellowish over a grey body. 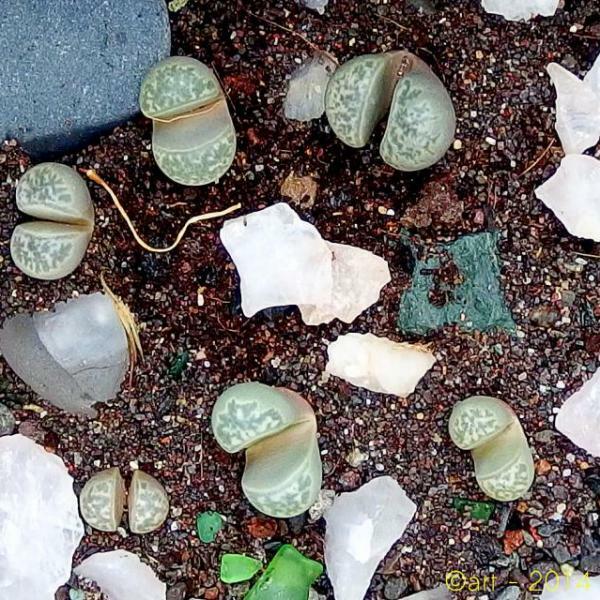 Lithops julii brunnea C179 has largely grown in the shadow of a tolerated weed, Conyza bonariensis, and does seem to like it. 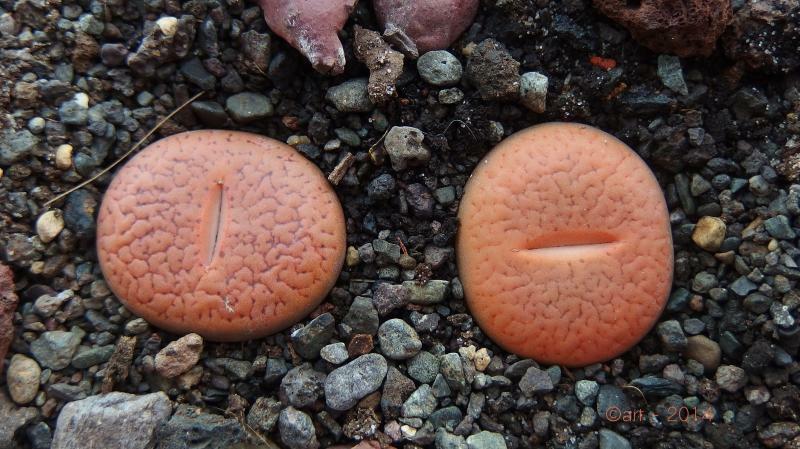 Also this one suffered much in summer, Lithops verruculosa C129, two of the few remaining seedlings. 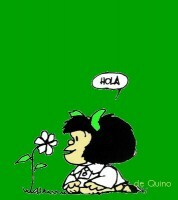 23rd of november, a green bud. 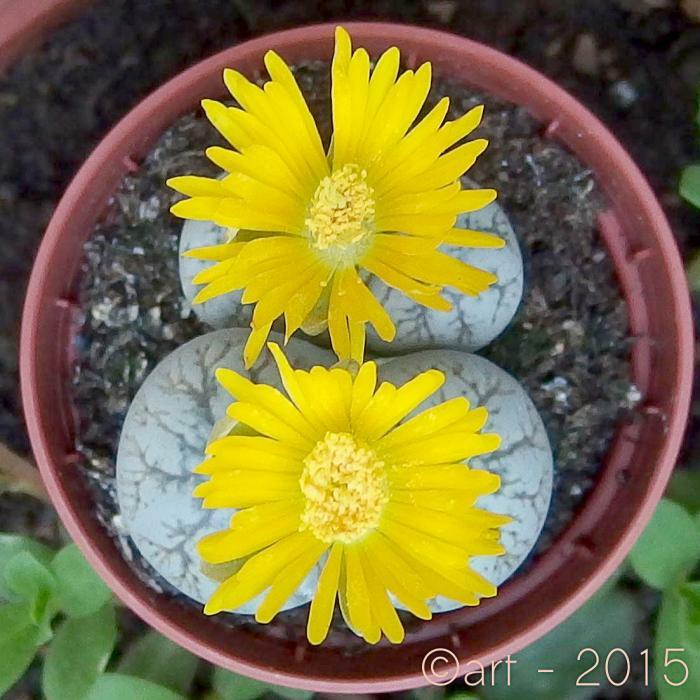 It’s Lithops lesliei ‘albinica’. Just the next day: slightly rosy petals already there. 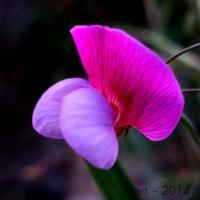 In the late afternoon of the 28th of november, a rather windy and dusky day, the flower opens for the first time. 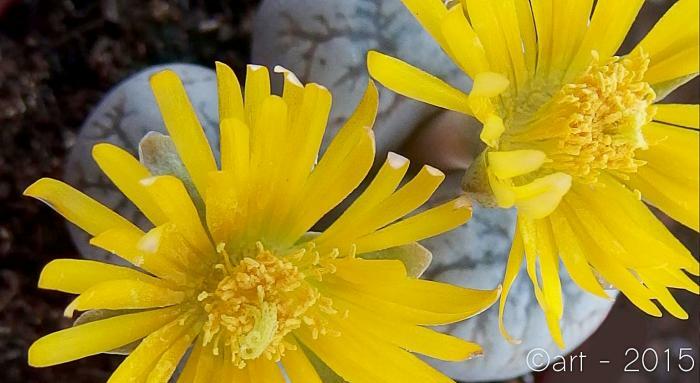 The long pistils seem already receptive while the stamina still remain undeveloped in the bottom of the flower. 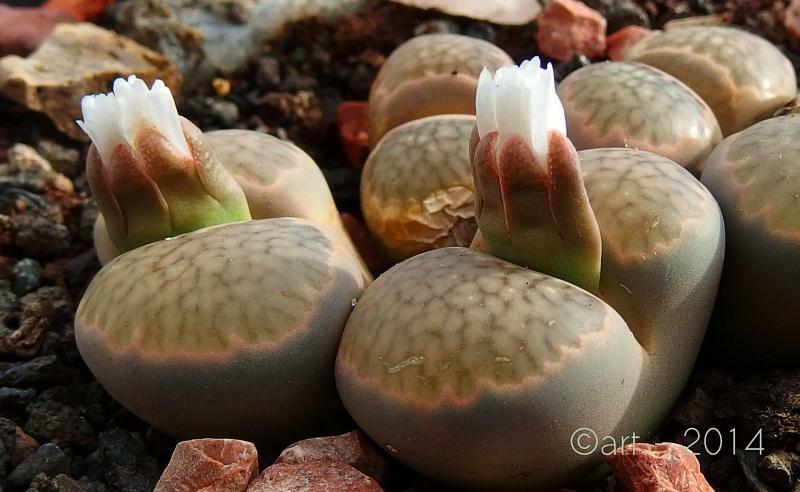 Lithops helmutii, C271, june 2014. 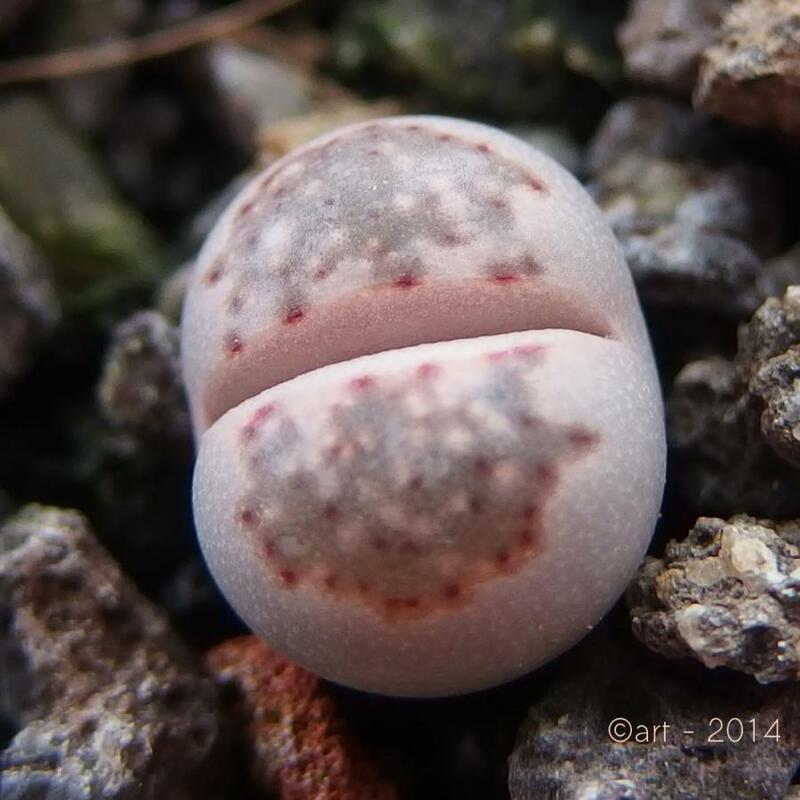 Lithops helmutii, C271, july 2014. 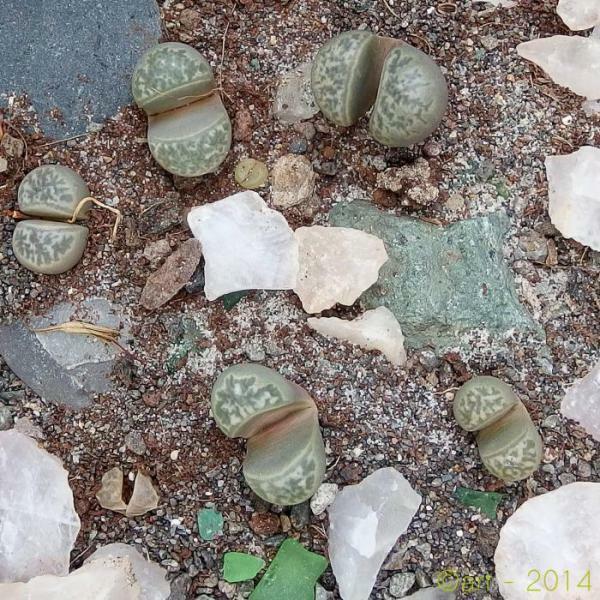 Lithops helmutii, C271, september 2014, at their new location, at full sun and full rain if there is rain. 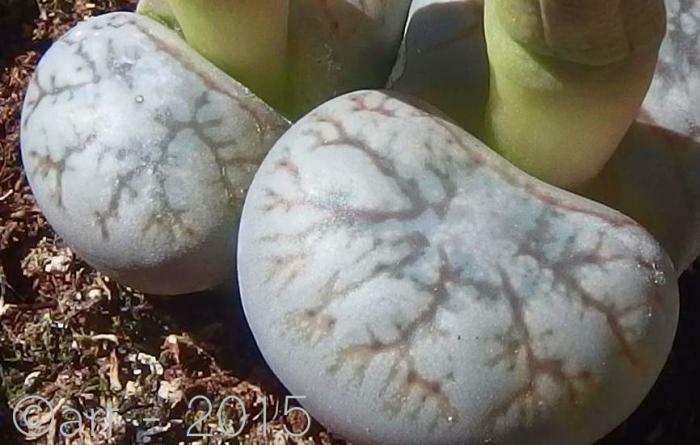 Up to now, L. helmutii has been the fastest growing of all. 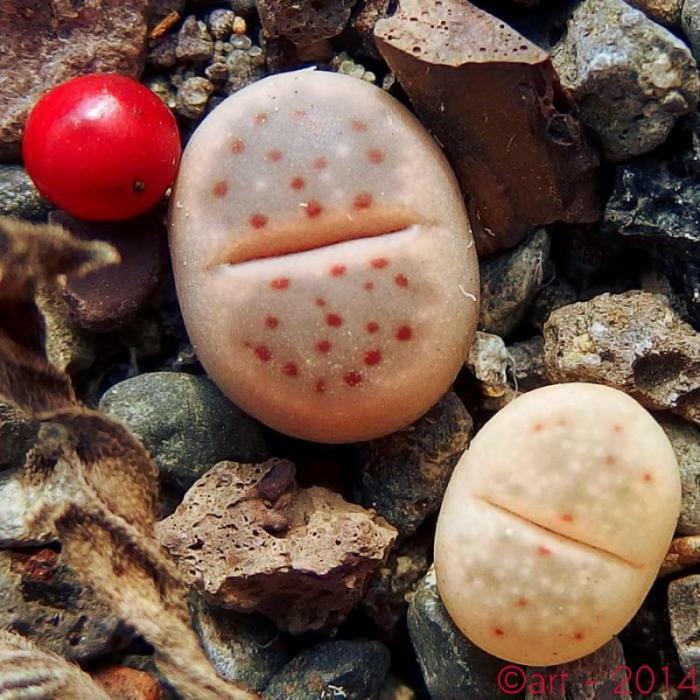 The one on the top right measures 22 x 13 x 24mm high. 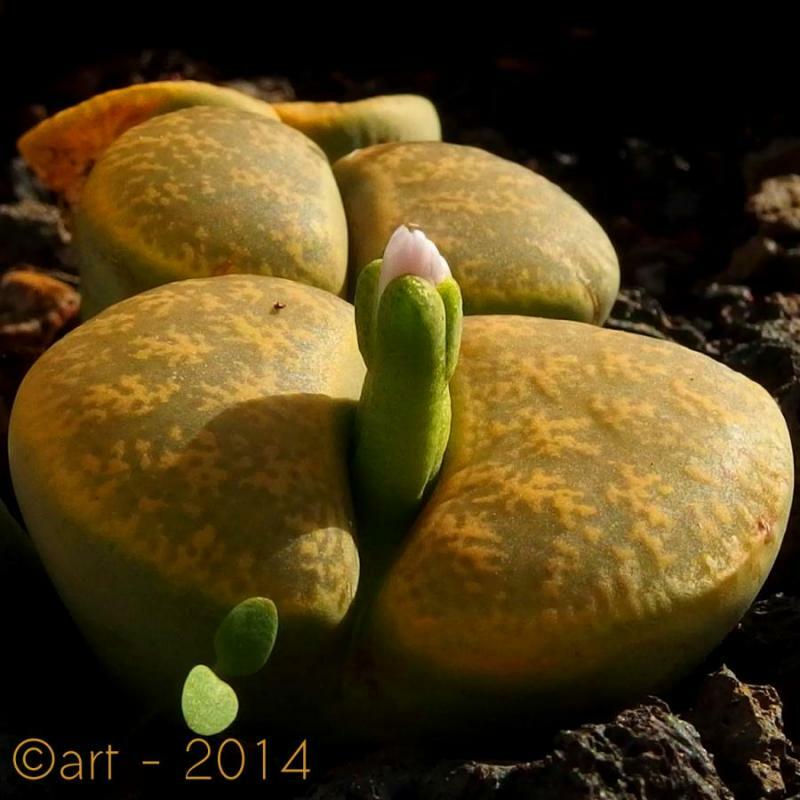 Lithops helmutii, C271, october 2014, first loss. The shadow of a nearby Ruellia is not enough, temperatures still high and first showers did not add to my abilities. 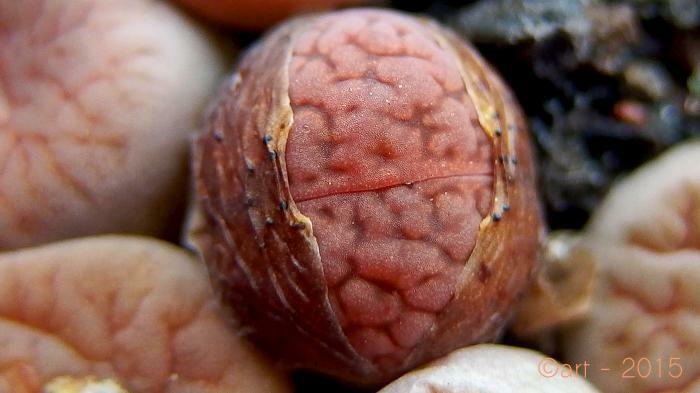 In november, after heavy rainfall, the gaps of every helmutii widens again, and the little bodies gain full turgor. 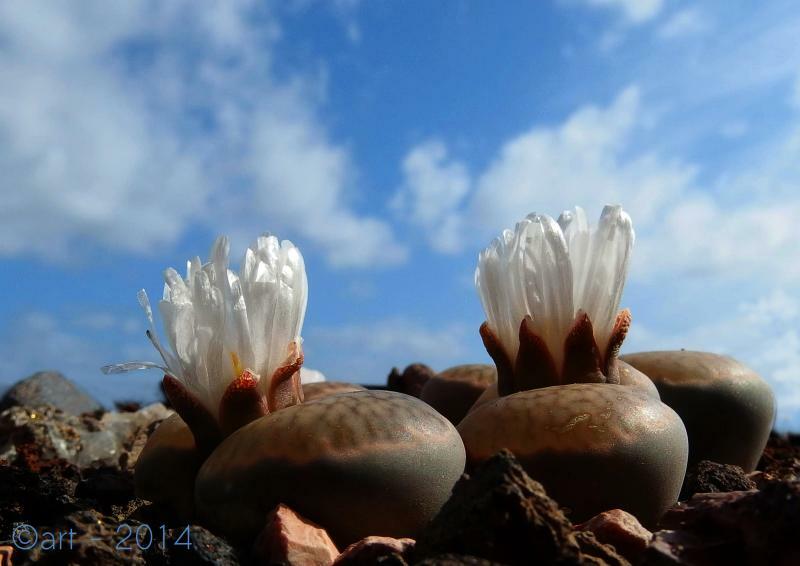 Once established, they seem to manage the unusual rain quite well. 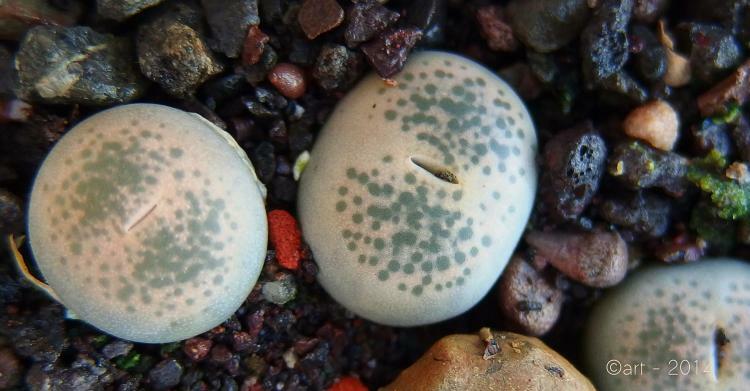 January 2015; L. helmutii are shrivelling and preparing for their moult. 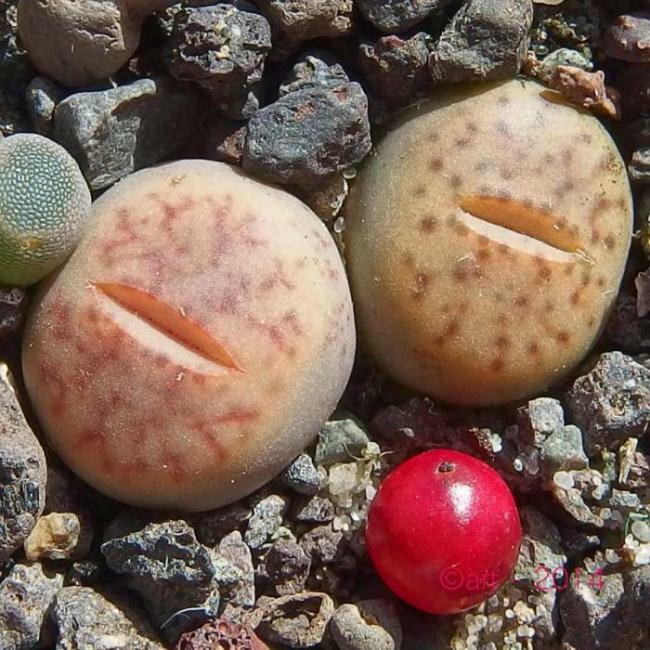 Not looking so happy now, april 2015, the new pair of leaves not yet ready and the old pair not gone, Lithops hemutii as most Lithops have a hard time when changing leaves. 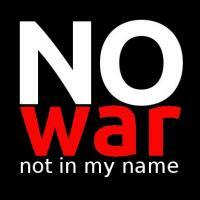 Rarely you will find an entry dealing with our dead ones. 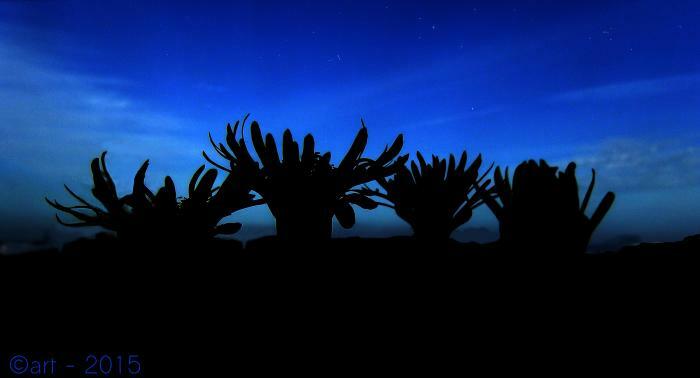 The end of our efforts, the loss of a plants life, the sad outcome of a wrong culture. 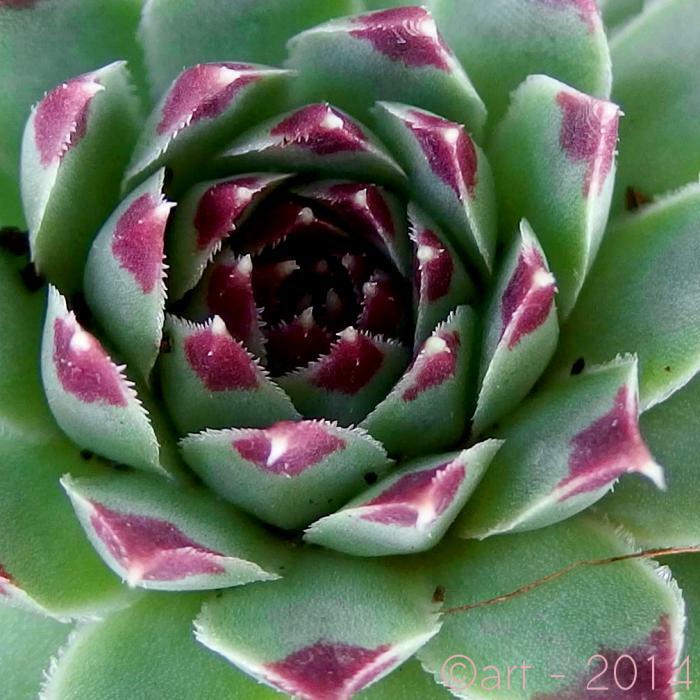 Though every gardener has made the experience, it seldom makes a subject for photographs. The failure in sucess is taboo. You don’t want to show nor share. 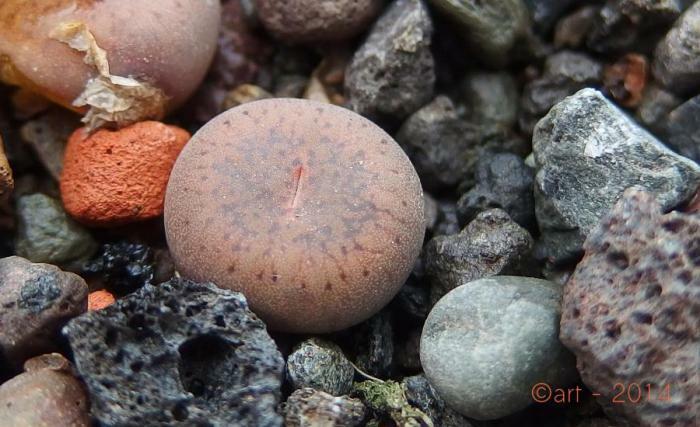 Already bought as a replacement of another Lithops optica ‘Rubra’, this one didn’t survive the first summer. 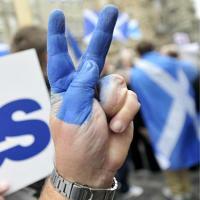 Odd colours bid farewell. 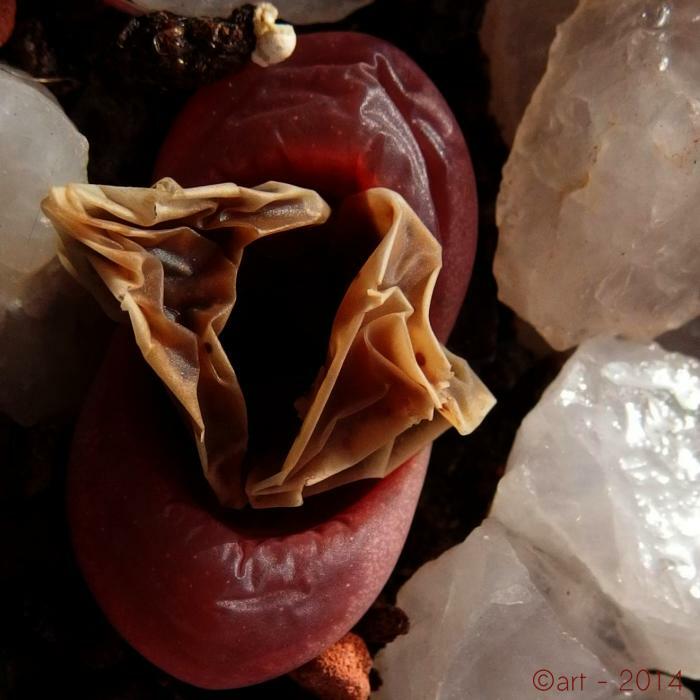 And again there is no partner for the eventual flower of the remaining ‘Rubra’. 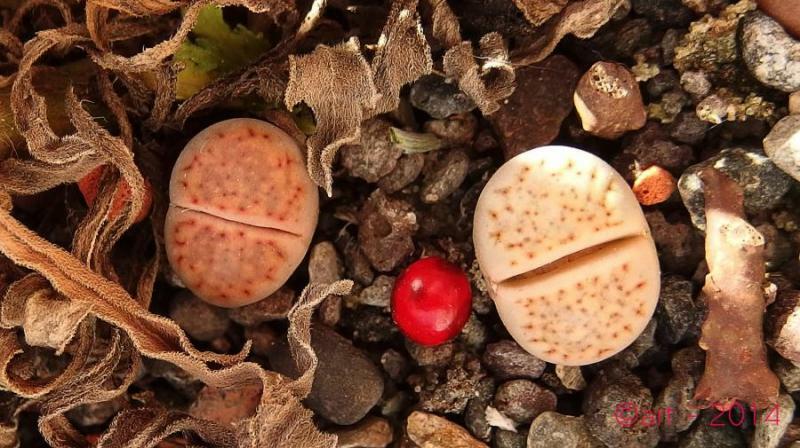 A young hatchling of Lithops verruculosa had successfully managed to grow it’s first pair of true leaves and then suddenly dies. 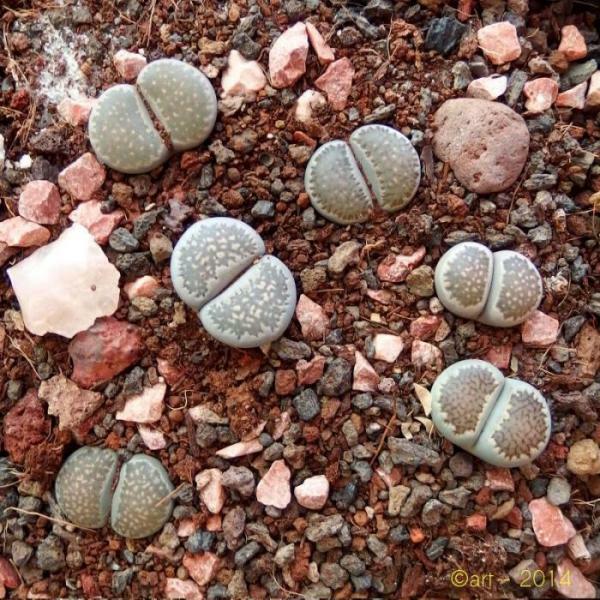 The brothers of the same batch grow without problems. 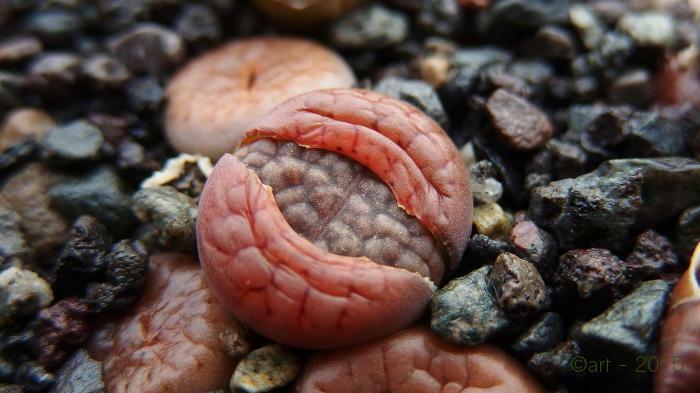 This shrunken head of Lithops bromfieldii mennellii was a fairly recent acquisition. 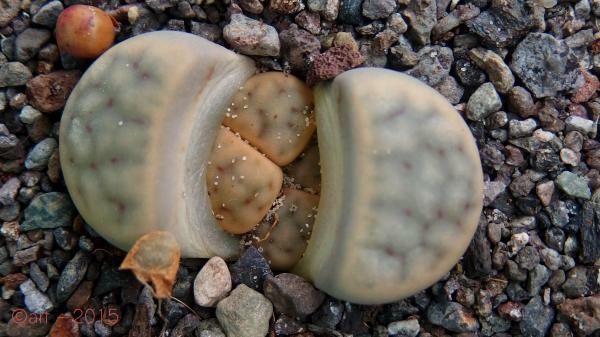 The biggest of three didn’t make it over the first watering. The other two are happy and growing. 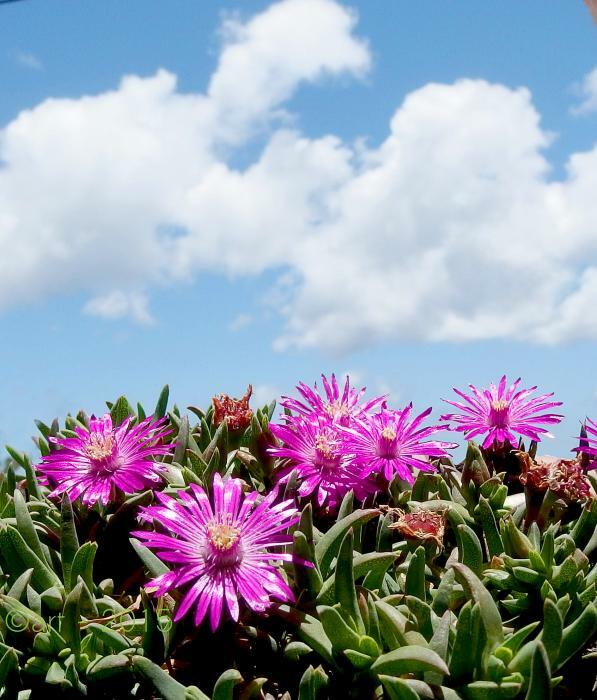 Yesterday the day begun cloudy. 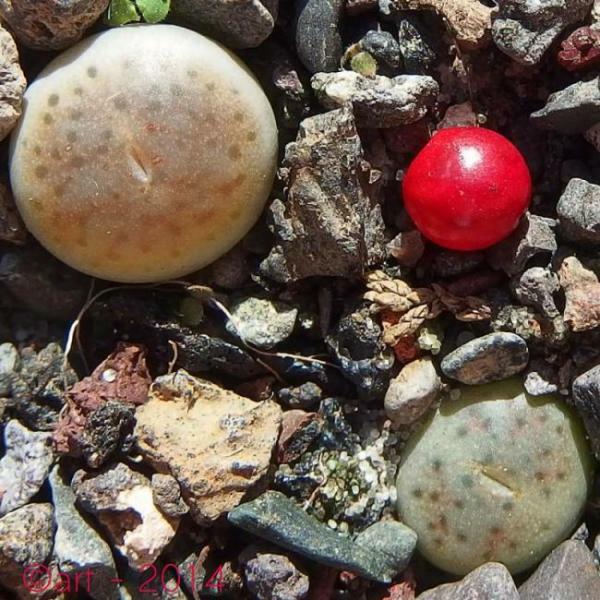 Unshaded, the planter with Lithops seedlings stood in full sun for some hours as the day got sunnier. 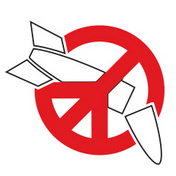 Some resented it and did not fully rehidrate during the night. 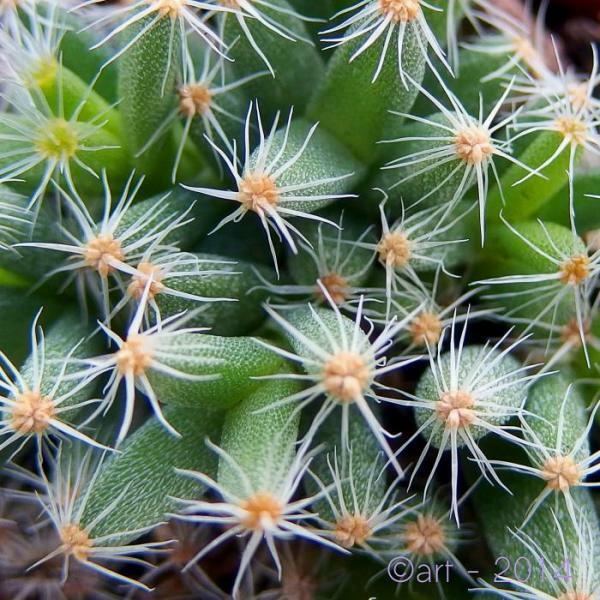 They still are turgent to some extend though, so it could be that those who went whitish are those preparing a new pair of leaves. 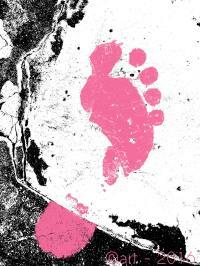 There is always a bit of wishful thinking when it comes to taboos! 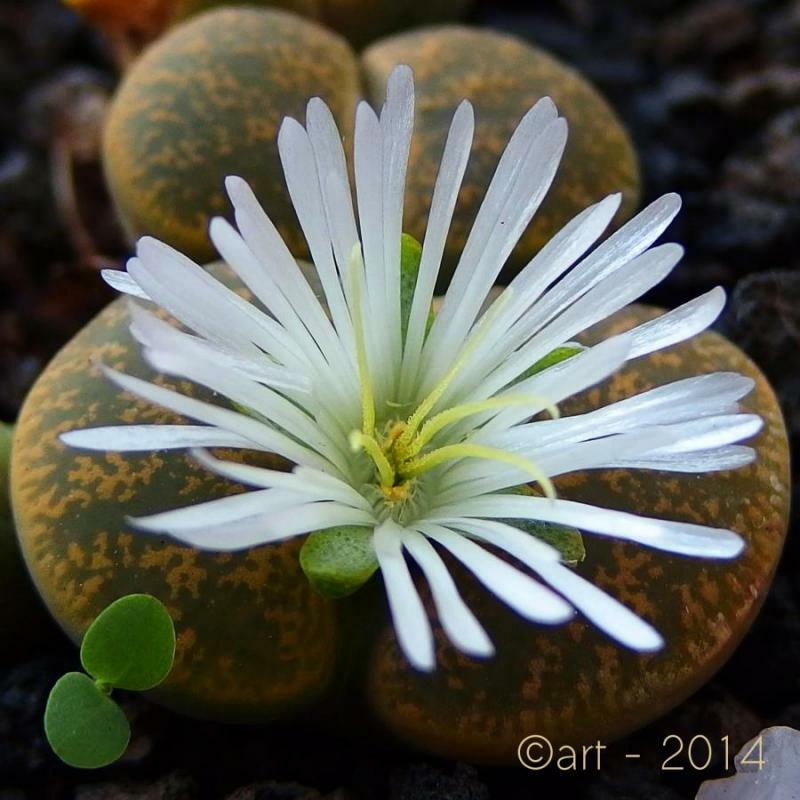 Only severely shrunken: Frithia pulchra seedling with two leaves. 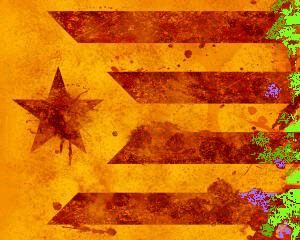 Death is spreading. 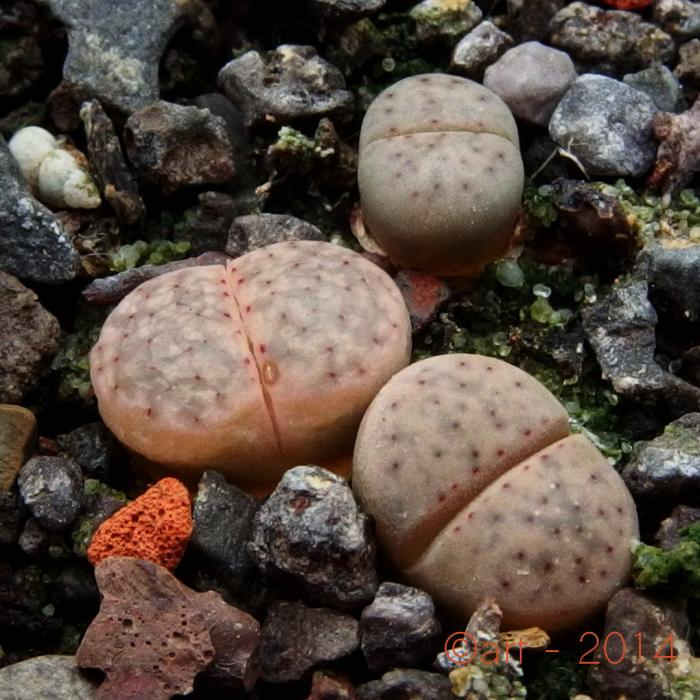 Not only this four pretty verruculosa, but the Frithia seedling, three more L. hallii, one L. dinteri, three L. fulviceps, … are collapsing. 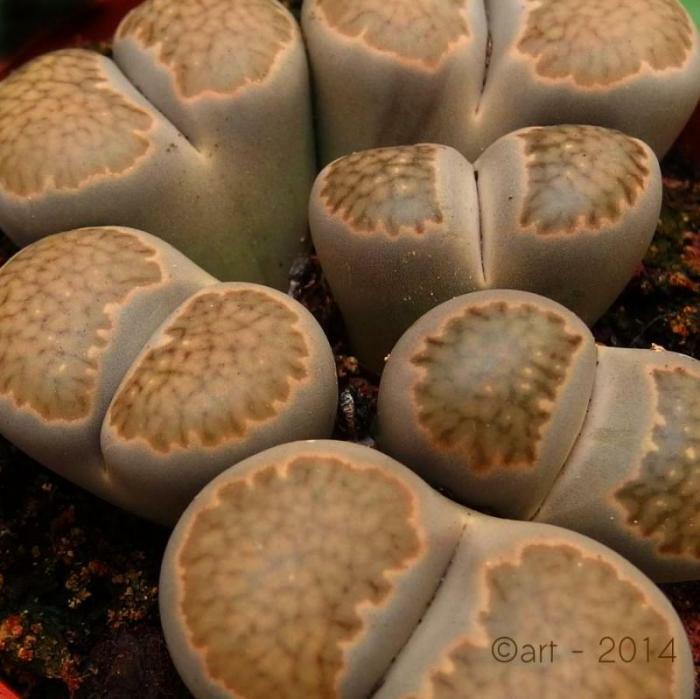 What begun as sun-stress has turned out being some much more virulent rot. This is sad. No wonder I’d prefer not to write about it. 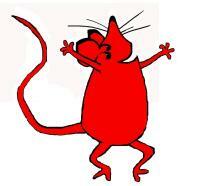 Did I mention? 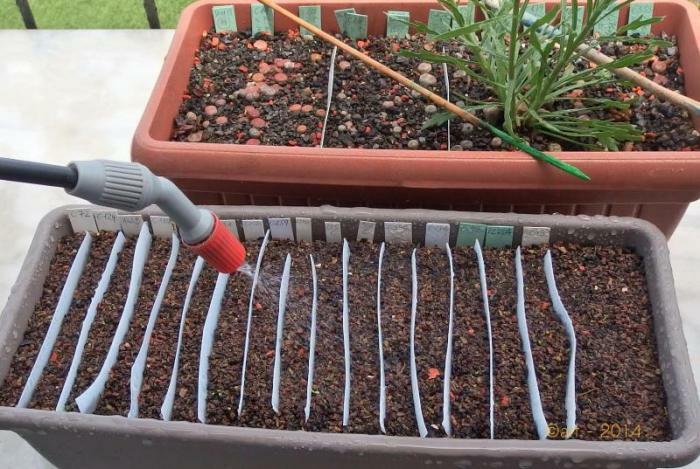 Water quality is paramount when watering the first time after summer – in fact, not only the first time, but every watering. Never use ‘old’, ‘rest’-water. 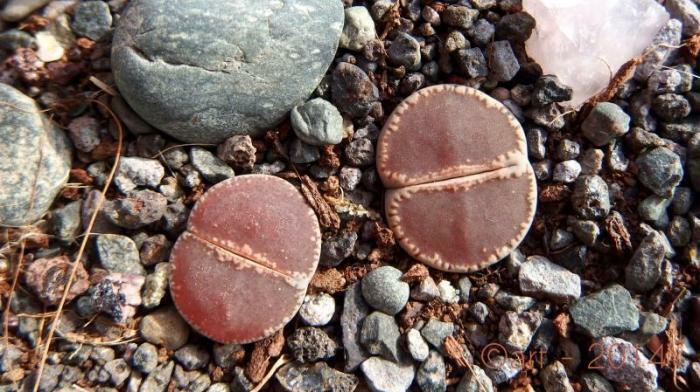 The bacteria and other microorganism will feed on the Lithops. Even more if the weather is still warm. I know that. 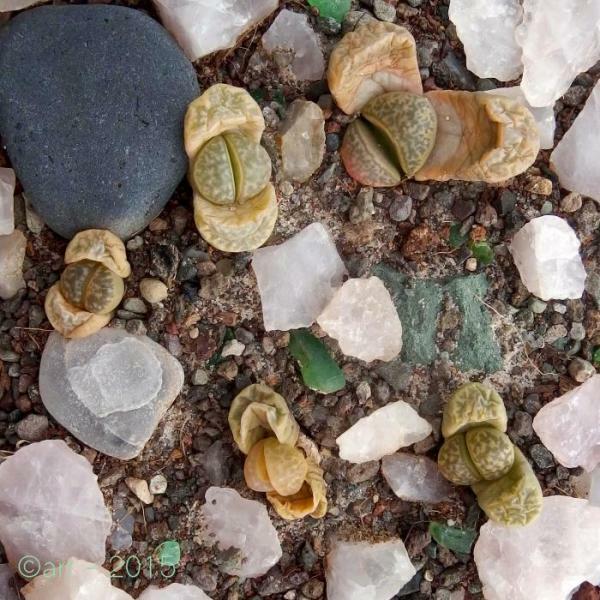 But why do I – mindlessly – just pour some old cup with water in it over my Lithops? 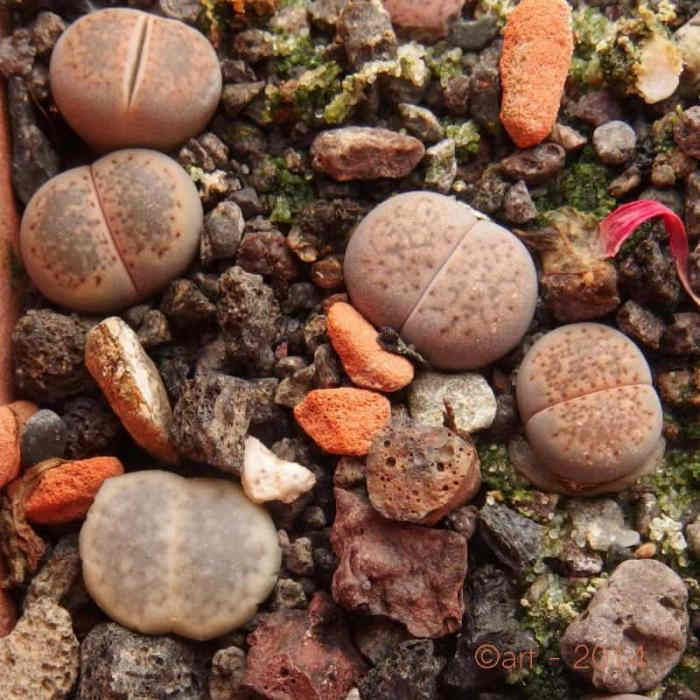 Didn’t need to verify an old theory ,,, This is part of what is left of Lithops lesliei albinica. 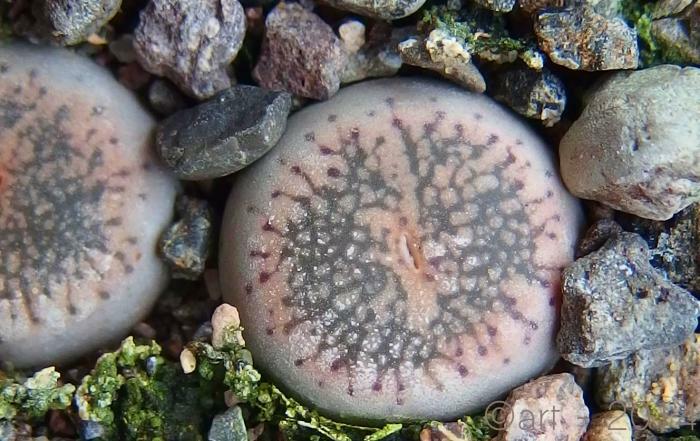 Still hope for this one, Lithops salicola, which has severe damage on one leaf. The rest is still turgid and looking right, so hopefully this one may survive. 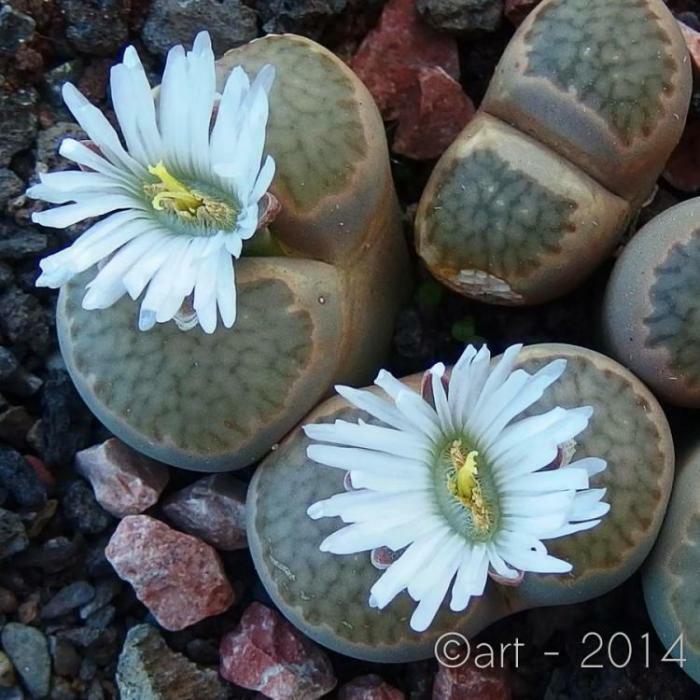 Sometimes sold as the ‘white Lithops’, Lithops pseudotruncatella ssp. 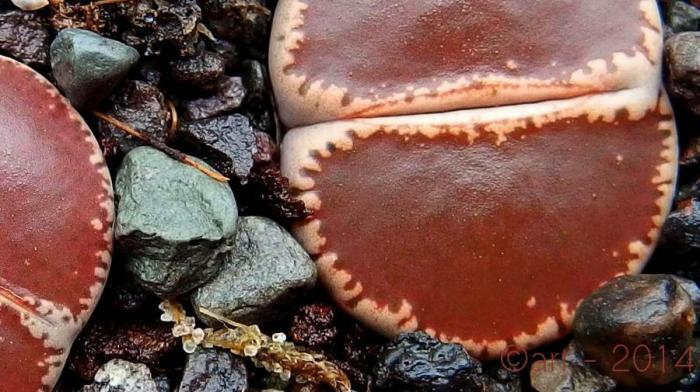 groendrayensis is not white. 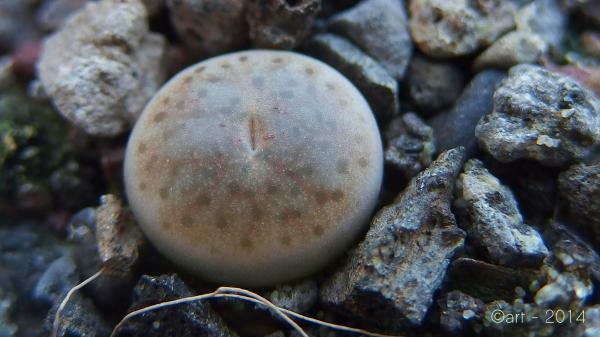 It is grey and beige and apricot and a hue of lilac. 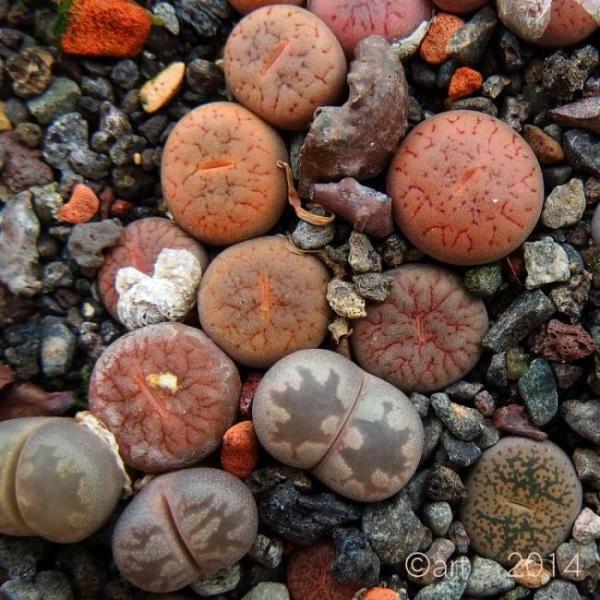 Depending on day-time, a real impressionist Lithops. 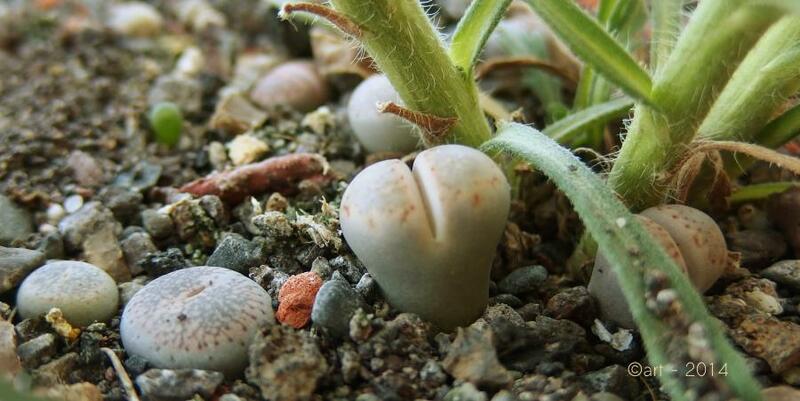 I wonder if this one might want to flower this year. No flowers so far, again changing clothes in december. 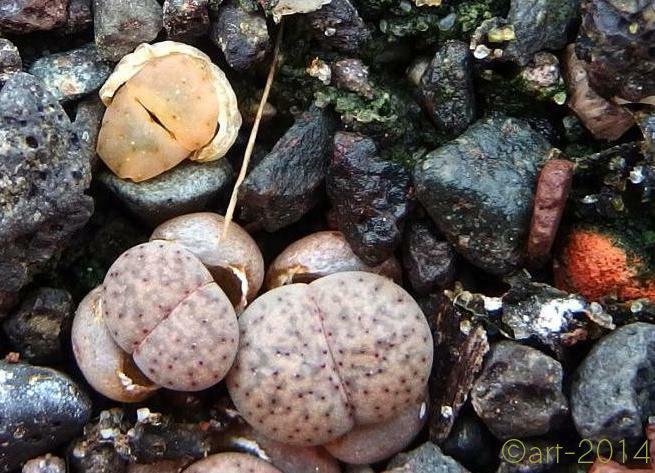 Frithia pulchra playing with Lithops bromfieldii C348 and L. lesliei C020; Olifantenzeh und Kussmund. 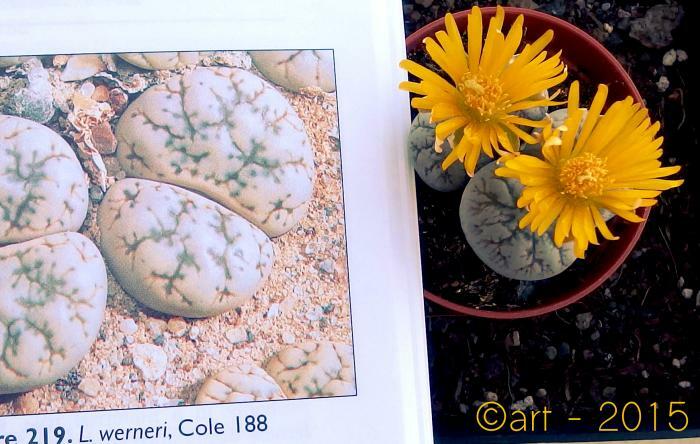 Lithops julii fulleri brunnea, C 179. 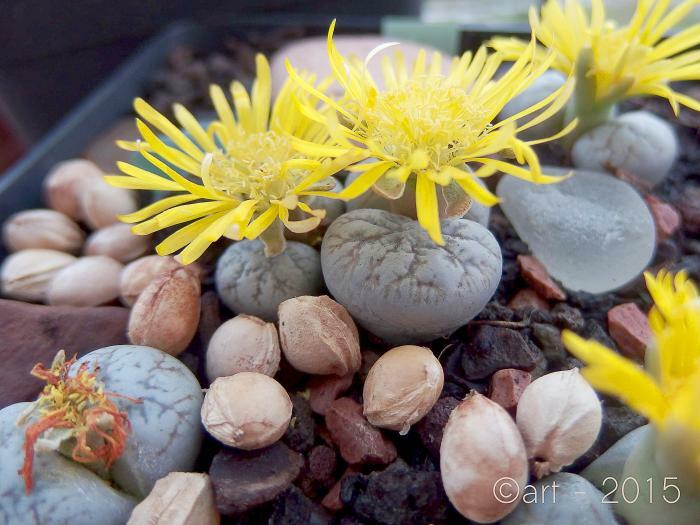 Green cultivars among Lithops are not rare. And usually I’m not fond of them. 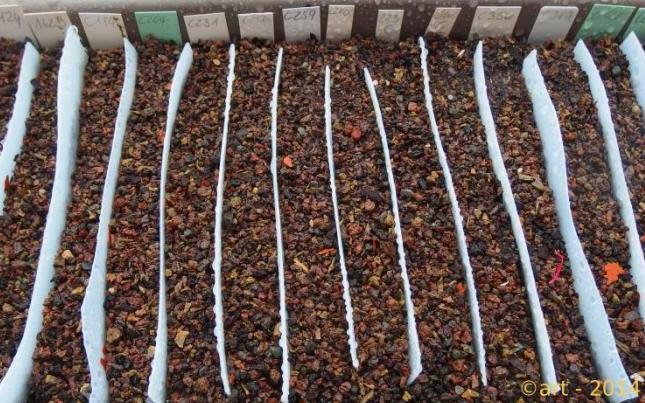 Perceptions change dramatically when one of the green ones appears in one’s own sowing tray. 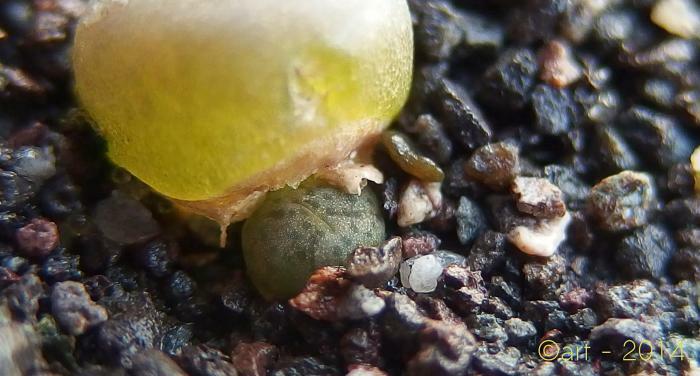 Now that there is what seems to be a first green pseudotruncatella, I am very proud. 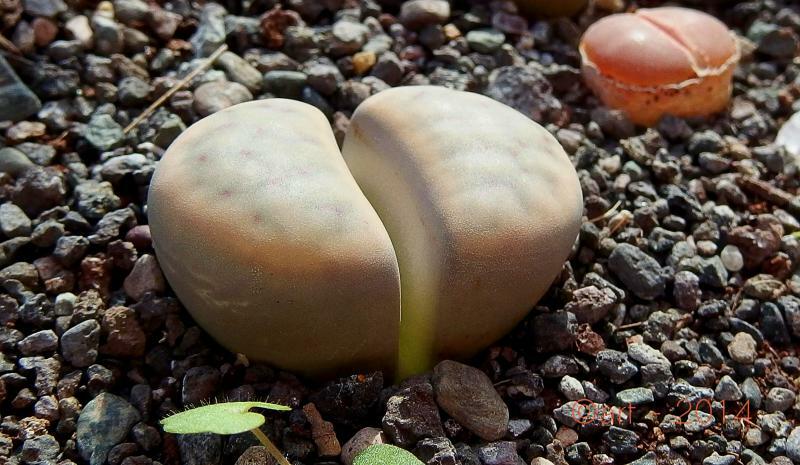 And obviously, it has been a tough struggle to get rid of it’s first true pair of leaves. 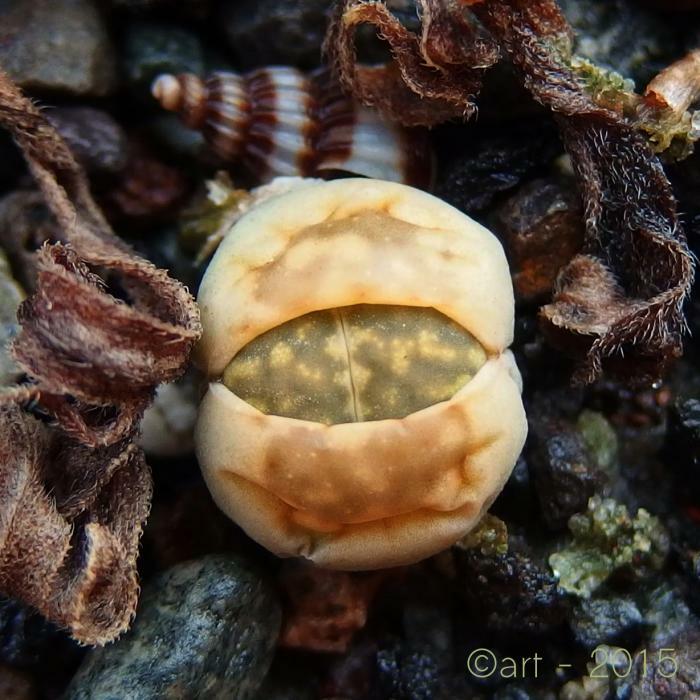 The first pair, already greenish, but not very differrent from the rest of pseudotruncatellas, had been swelling for weeks, from a very tiny body to a nearly one cm ‘blob’. No signs whatsoever of a fissure, and the uplifted body still is perfectly turgent. 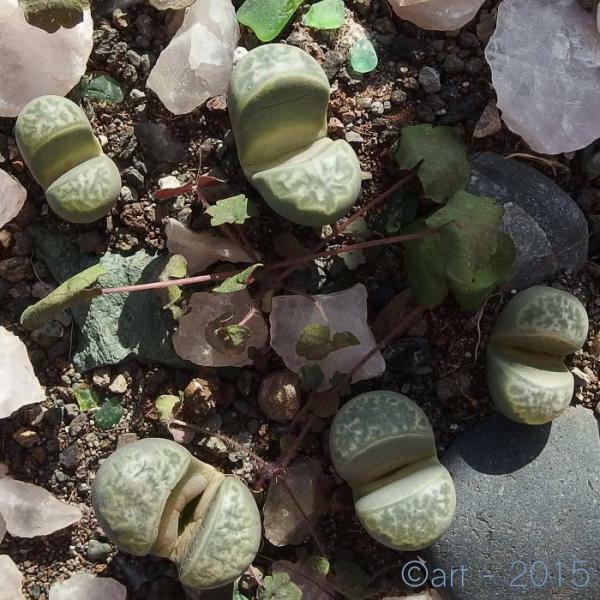 Then, behind a little stone, there it sat – a complete solid green Lithops pseudotruncatella. 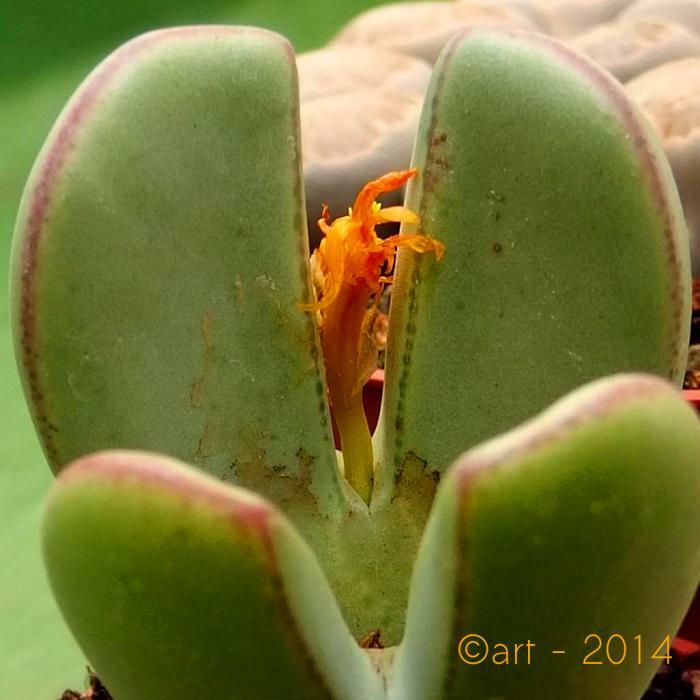 So, let’s keep fingers crossed, for there is still a long way to adulthood for this little green cultivar. 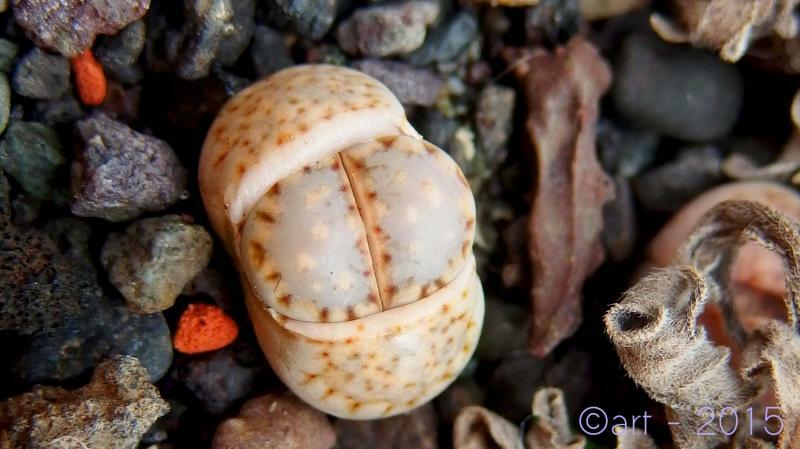 If it really is one, for after the next molt it could turn back to the usual colour. 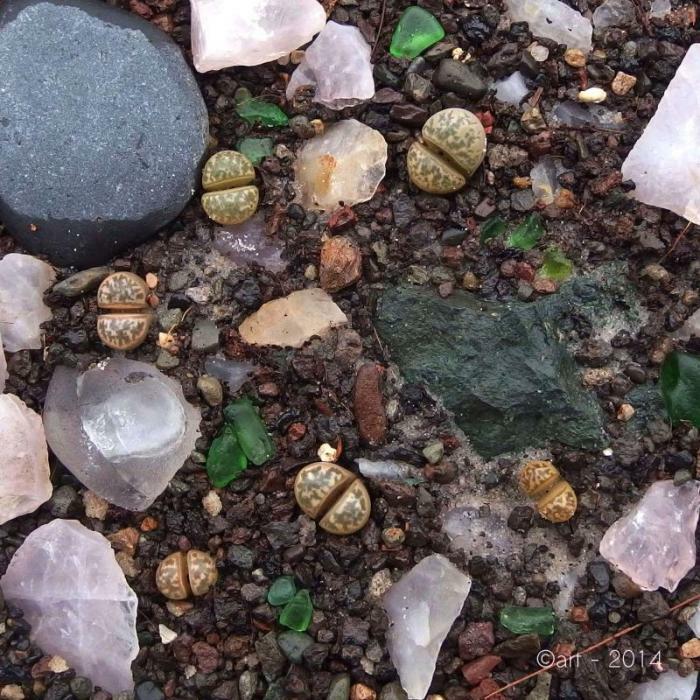 The ‘normal’ coloured pseudotruncatelllas from the same batch are stronger and display the well known patterns of this species. 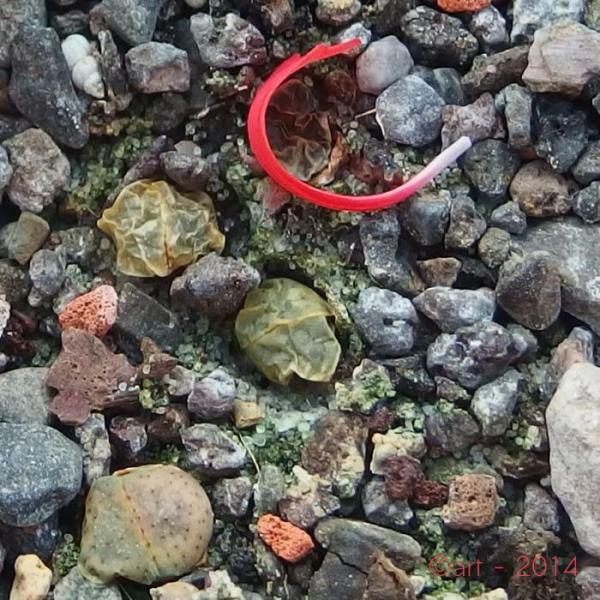 No trace of reds or browns – solid green as far as I can tell. But before naming it, I’ll wait what happens after the next two molts. Photographed with 1/64 of additional flash to tease out any possible colour. Three days later there is still no red pigmentation. I added some black sand, for the exposed neck didn’t look right. 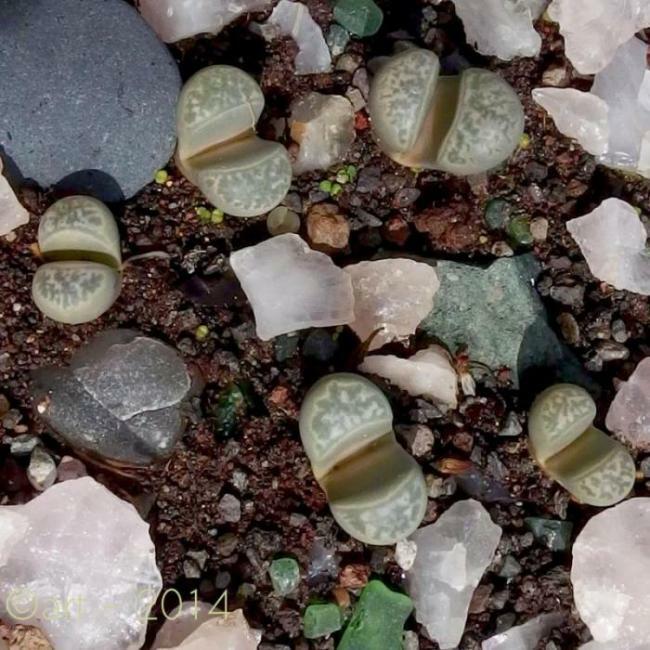 No trace of green Lithops left after changing leaves. 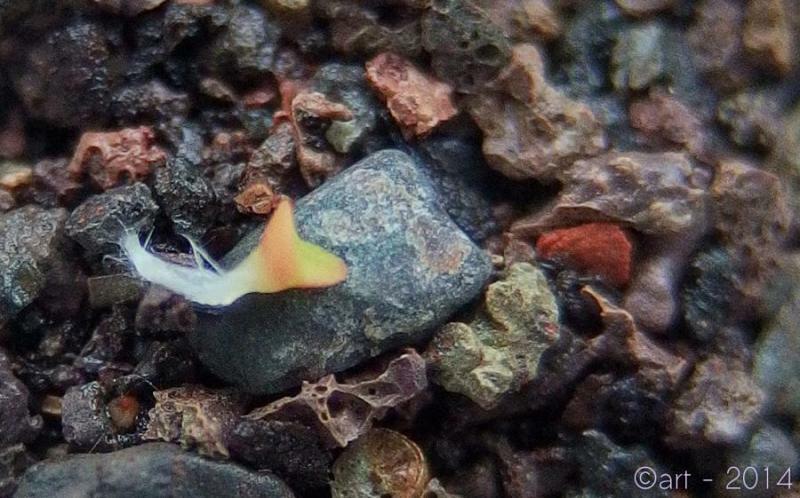 Still one of the tiny pseudotruncatellas, but one of the most beautifully coloured. 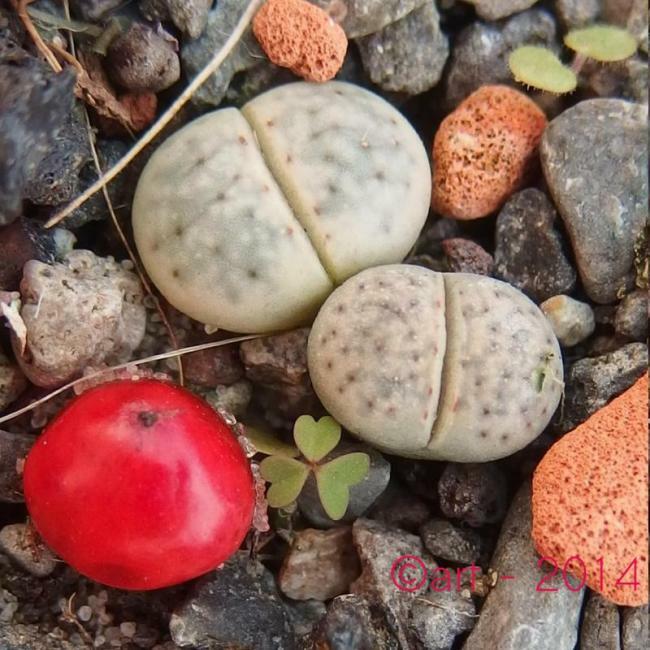 Lithops karasmontana bella, C295. 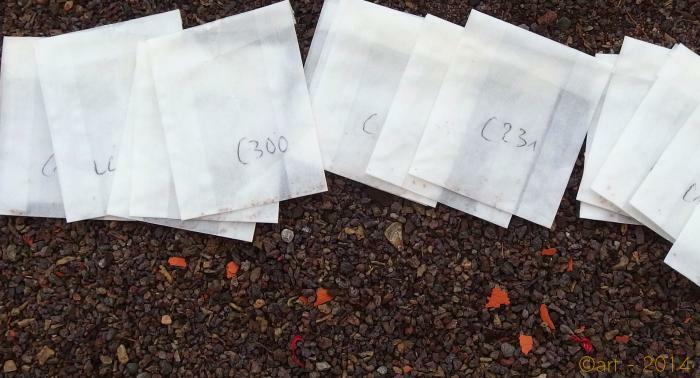 The first six seeds germinated already three days after sowing. 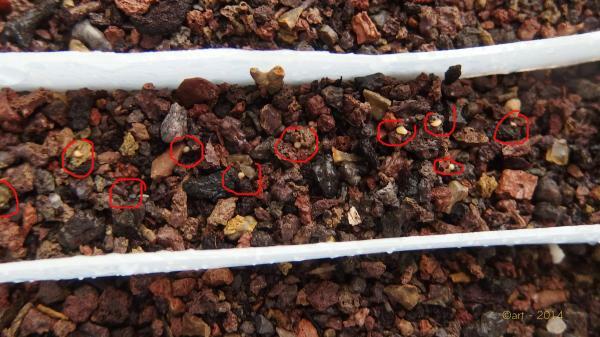 Two weeks days later 14 seedlings have survived from 17 hatched. 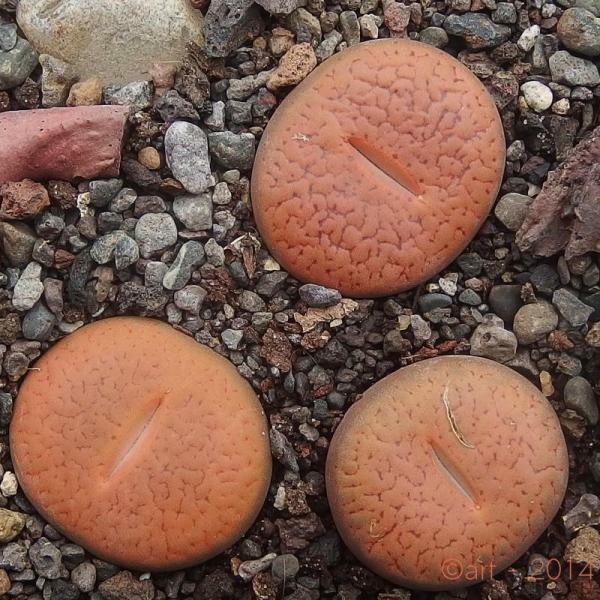 Lithops karasmontana, Signalberg form, LC65A. 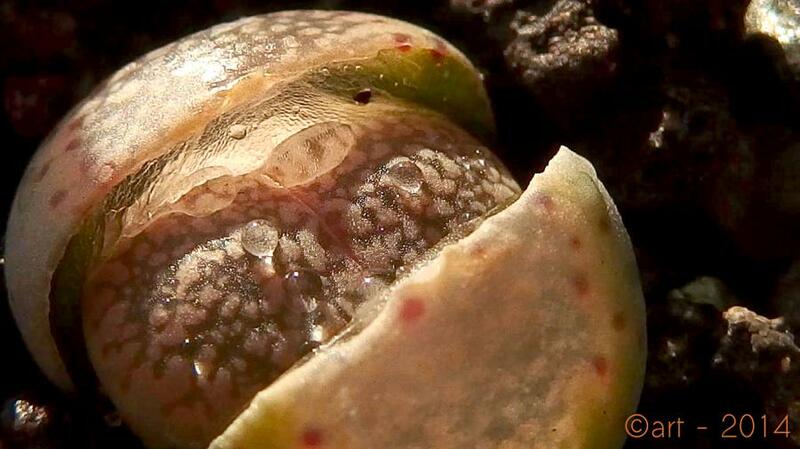 Also a quickly germinating species. 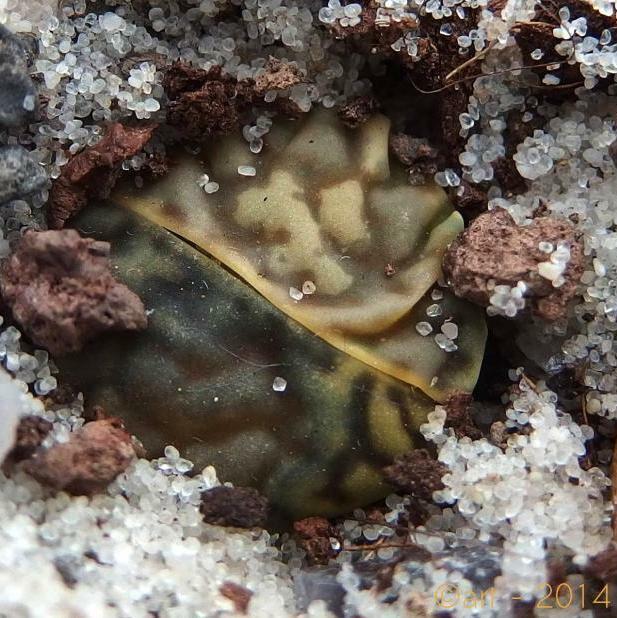 Two hatchlings at the third day. A fortnight later from 15 hatchlings thirteen havesurvived. 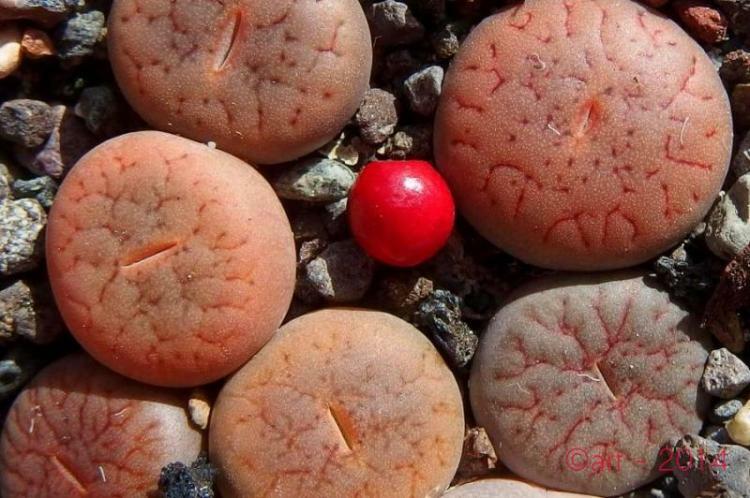 Lithops bromfieldii mennellii, C283. 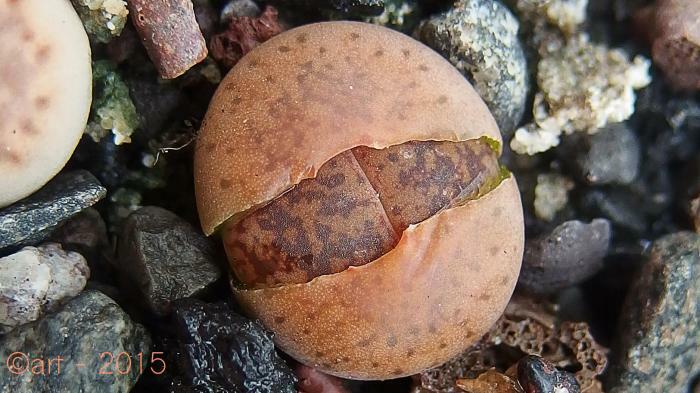 At day three, two bromfieldii had hatched; two weeks later, without any loss, there are eleven hatchlings. 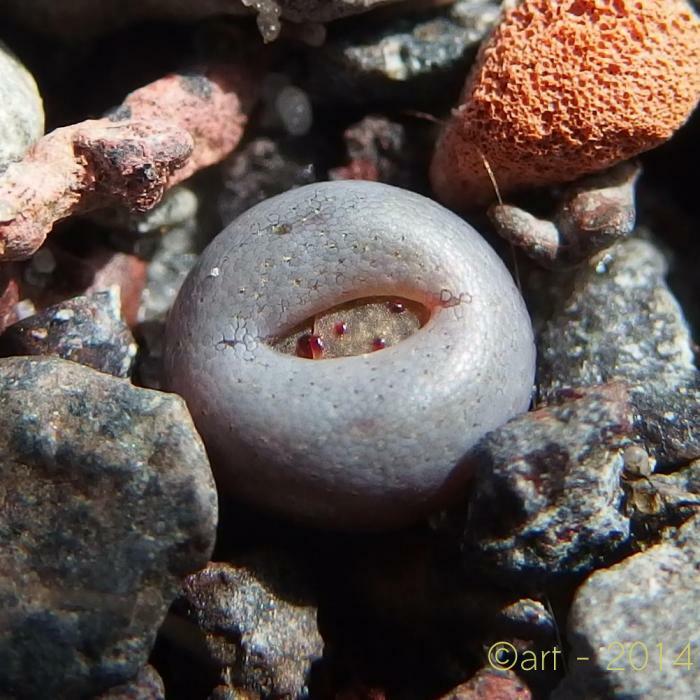 Lithops dorotheae, C300. 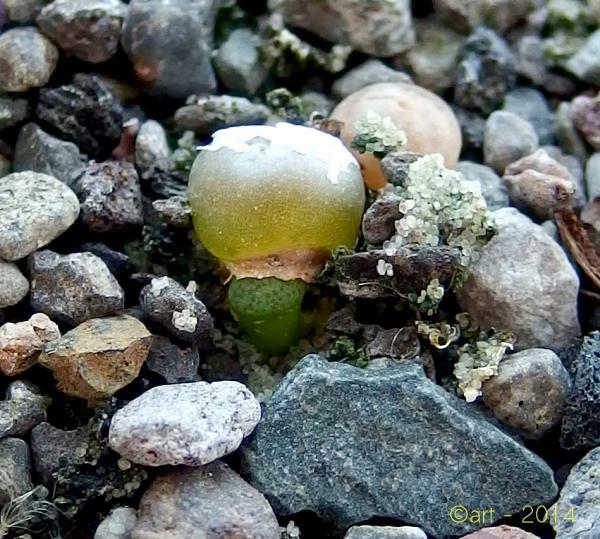 The first solitary seedling appeared the 5th day after sowing. Now, at day 17, there are six hatchlings. 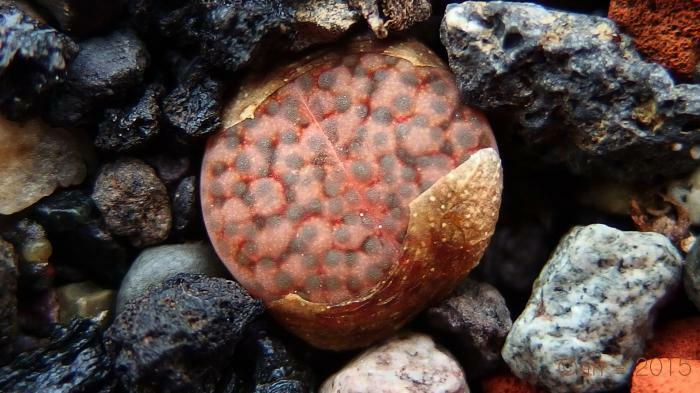 Lithops dorotheae, C124. 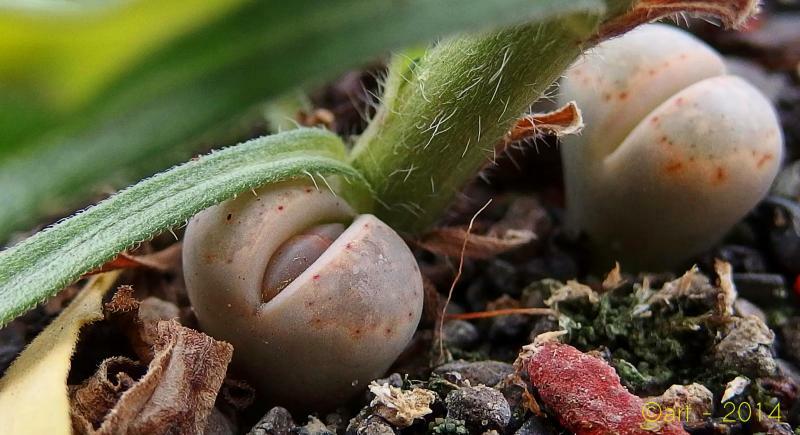 Like his brother, first seedling at fifth day and seven up to now. 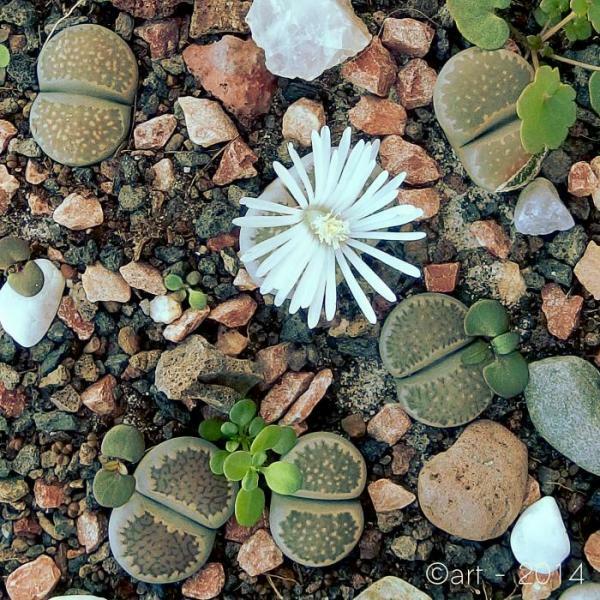 Lithops villetii ssp. 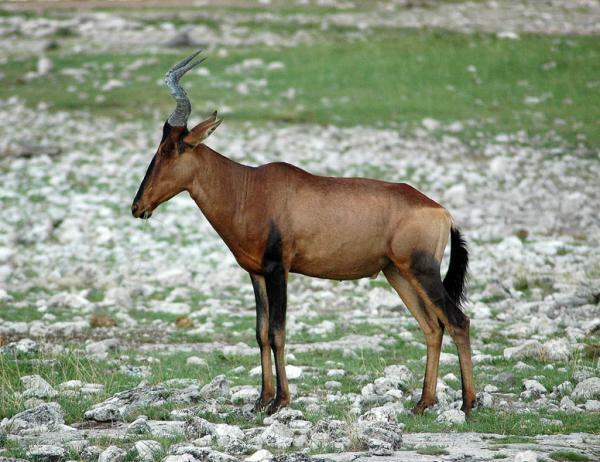 deboeri, C231. 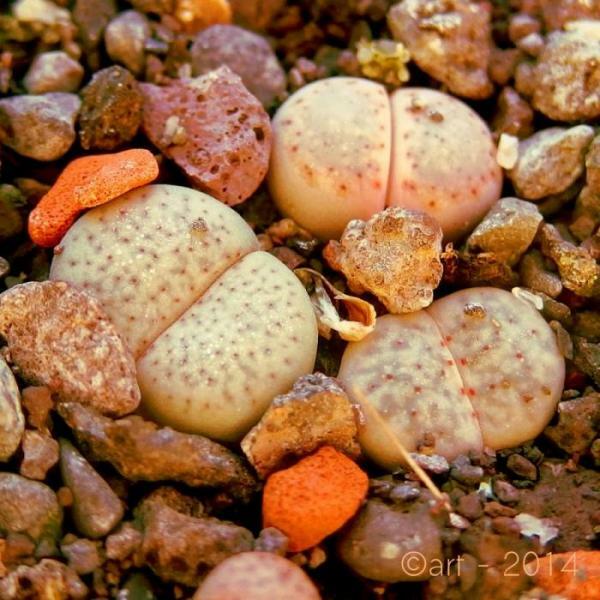 Tiny and elongated, though growing with the same strong light as all other seedlings. 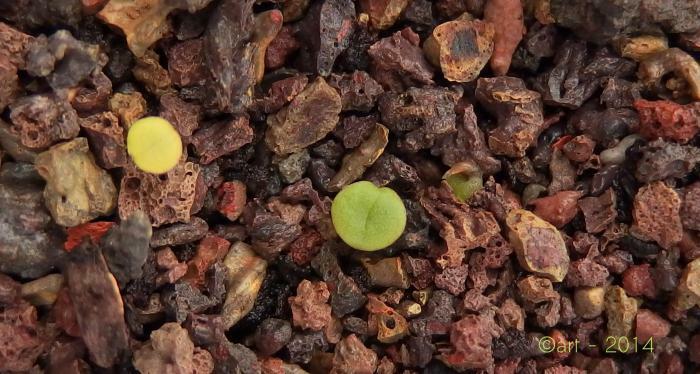 The first five deboeri appeared at the fifth day and on day 19 there are ten seedlings. 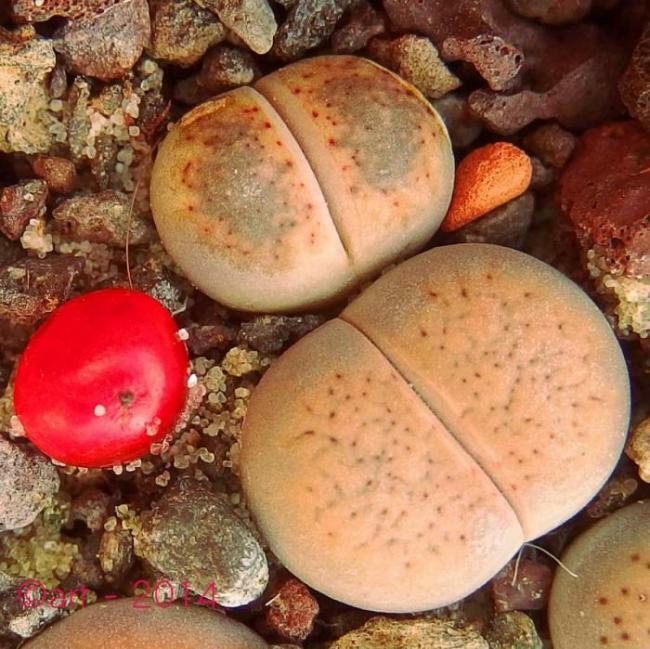 Lithops aucampiae koelemanii, C256. 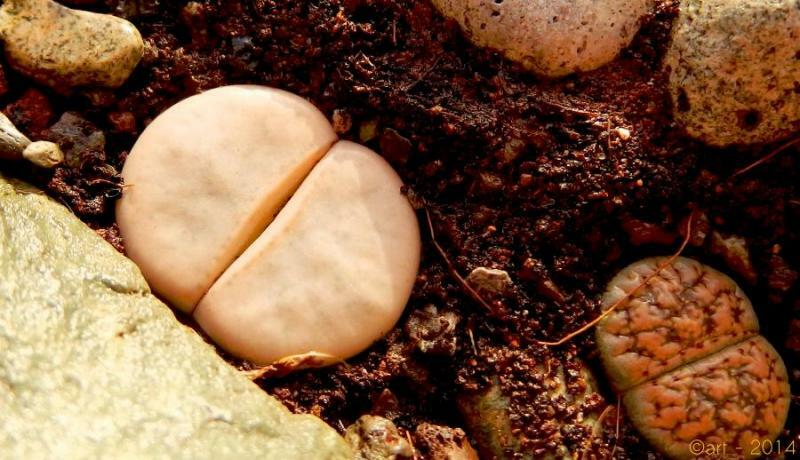 Fat, mushroom-like from a beginning, the first two germinated the forth day and the little, clear one, was one of them. 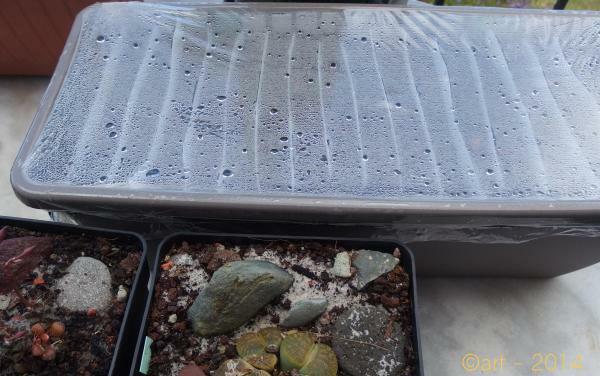 There were twelve seedlings, remaining only five becuase of – presumably – fungus gnats. 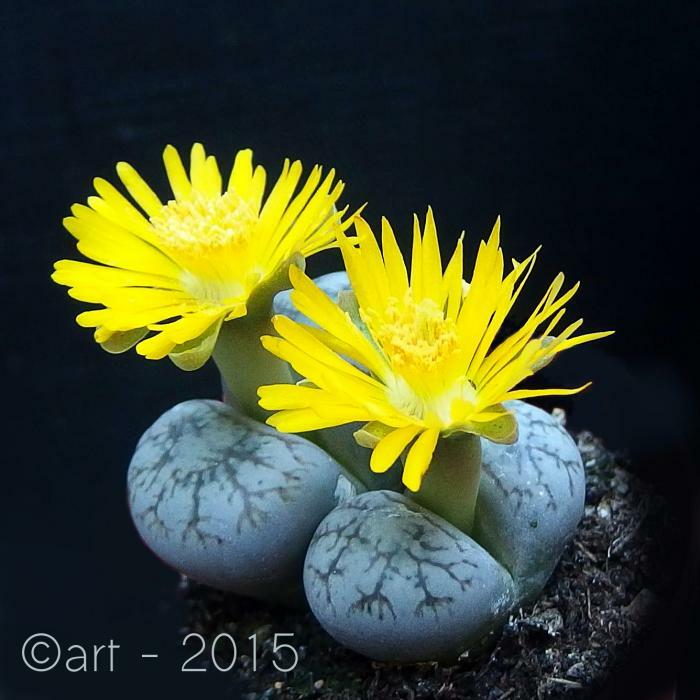 Lithops lesliei rubrobrunnea, C204. 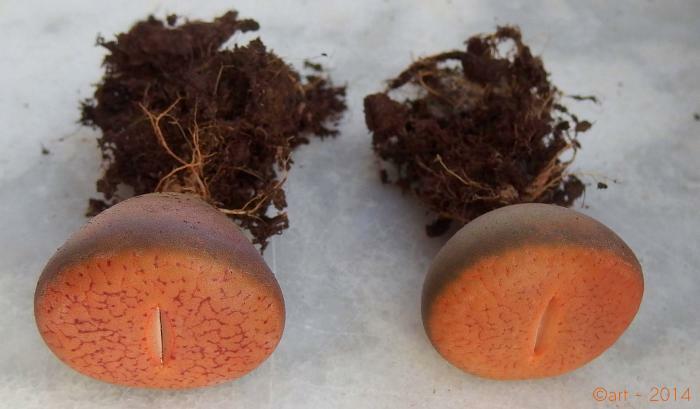 Big seeds that did not germinate in the first two weeks. 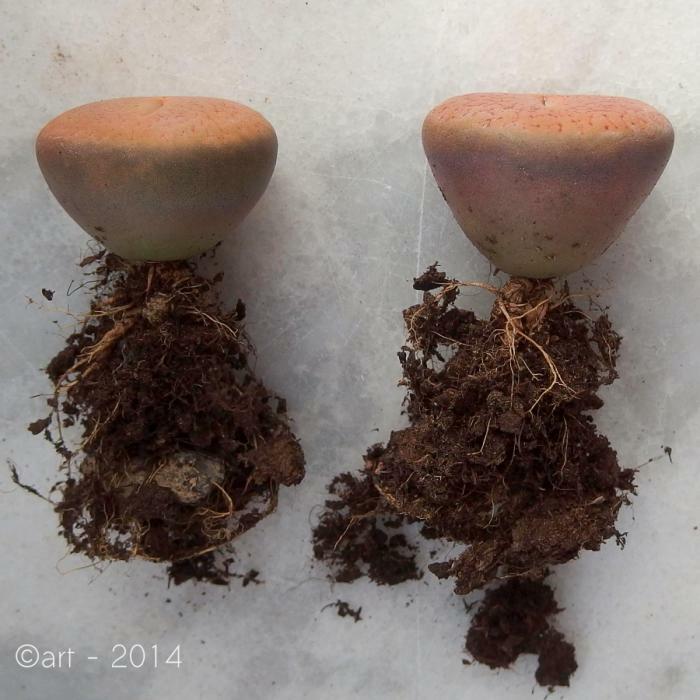 The first one ap300peared at day seventeen, and two days later there are three cotyledons, flat with a distinct rim. 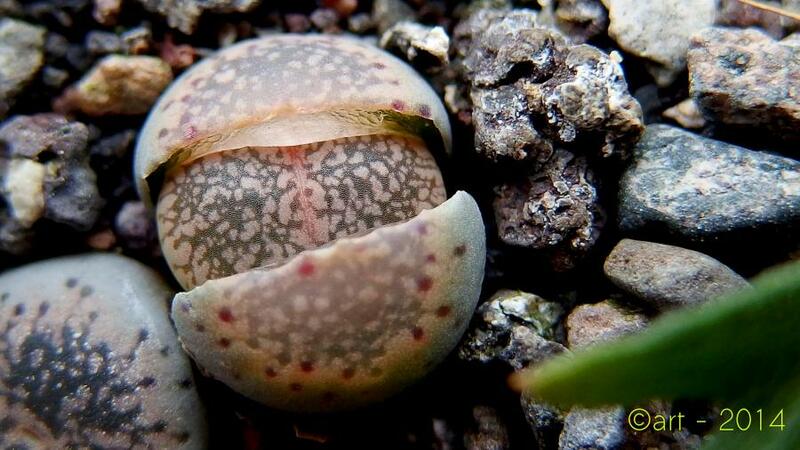 An other slow and erratic breeder, C350, Lithops otzeniana. 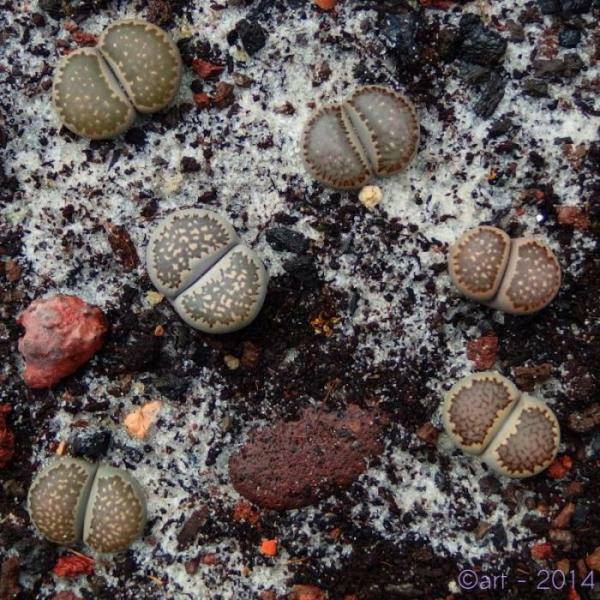 The first seedlings appeared the sixth day and now there are four, two have succumbed. 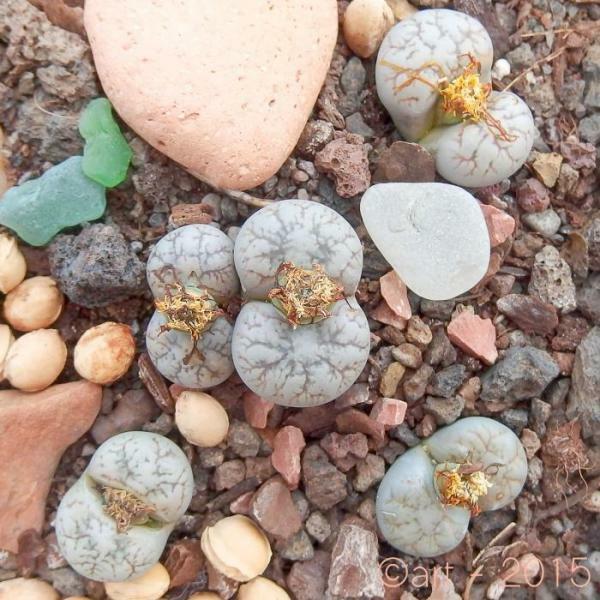 A pity, for L. otzeniana is one of my green favourites.